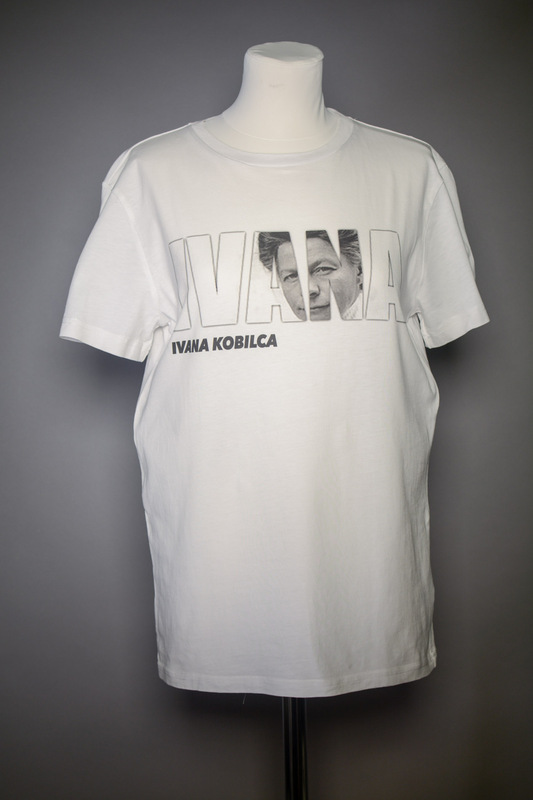 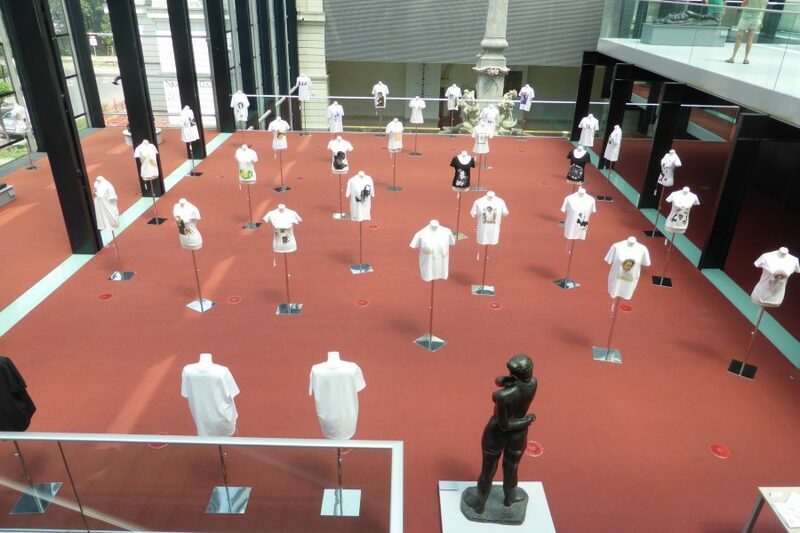 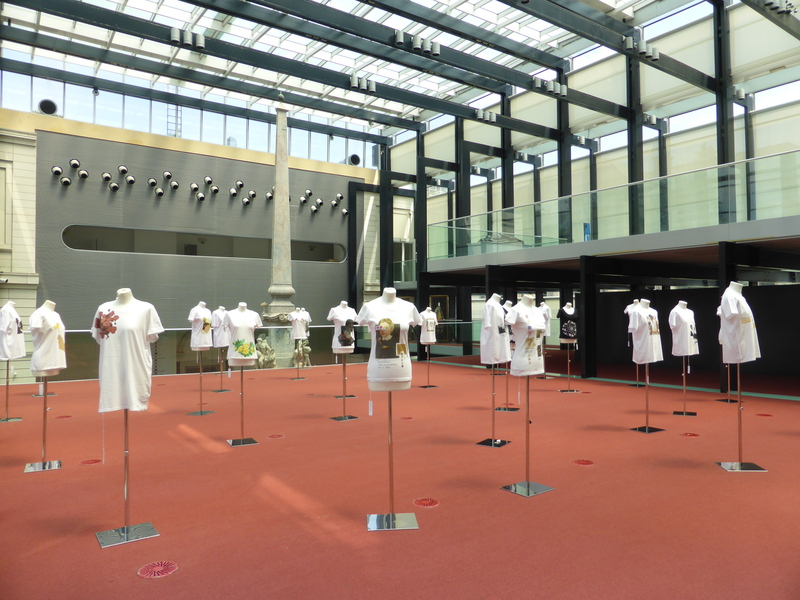 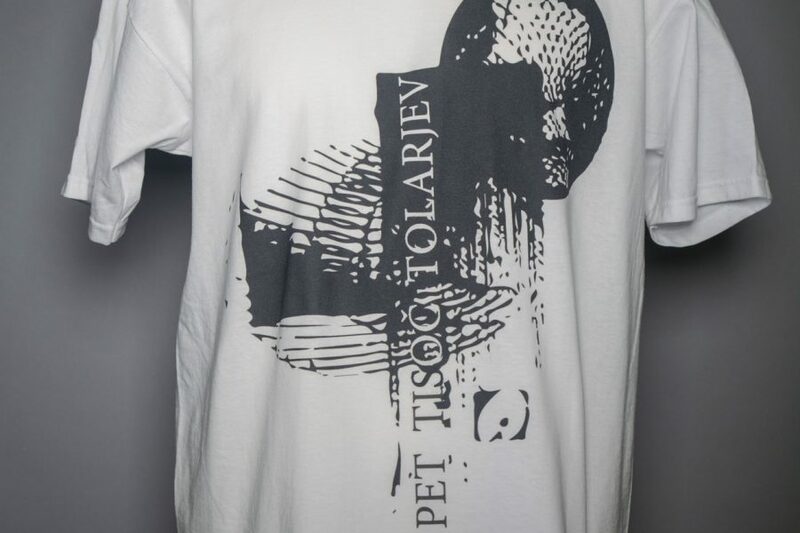 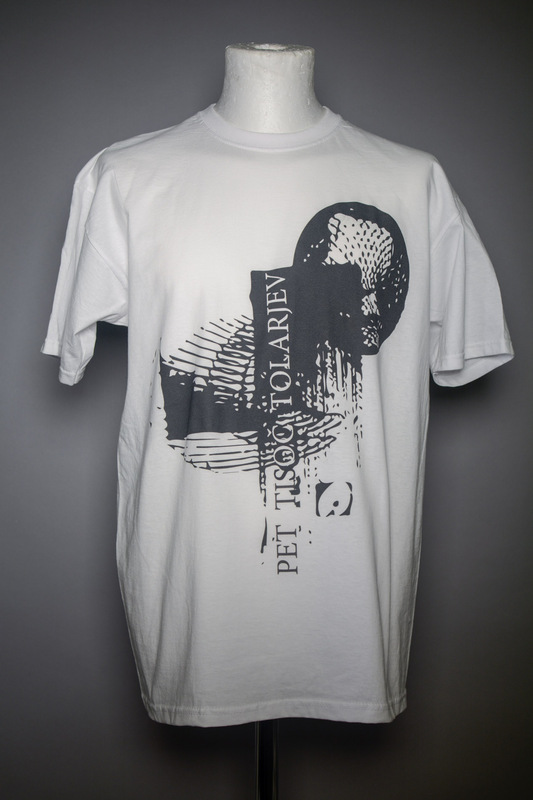 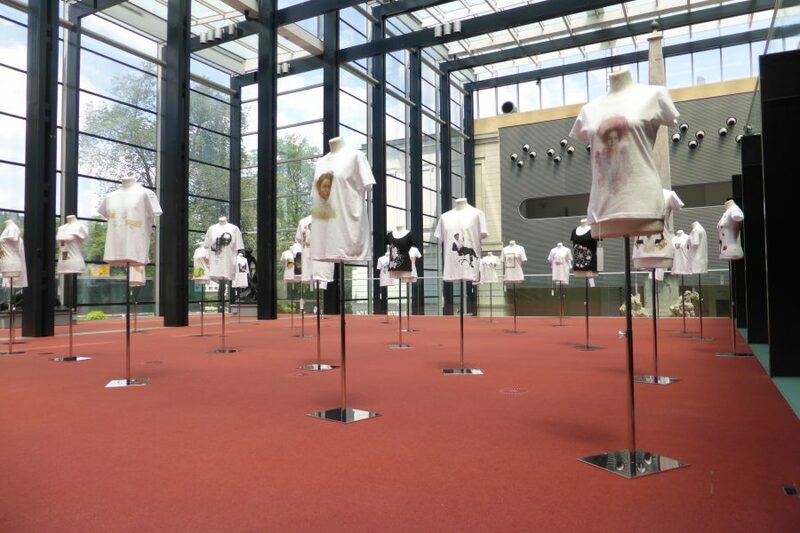 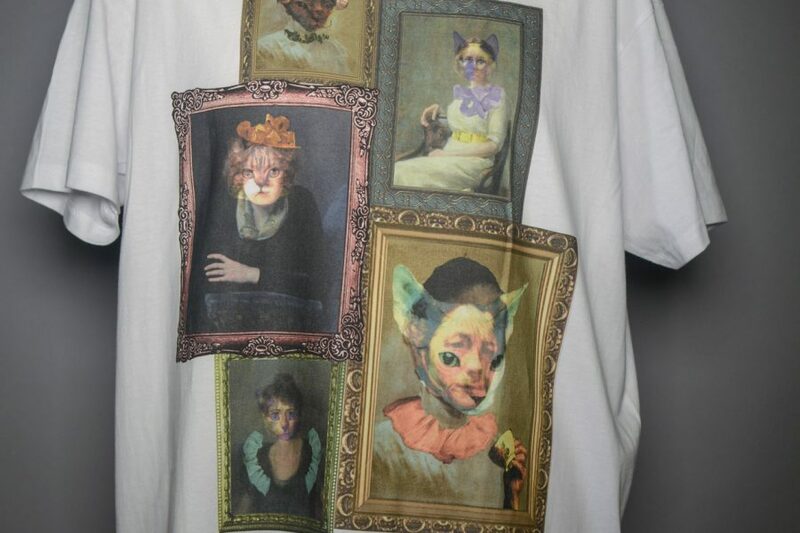 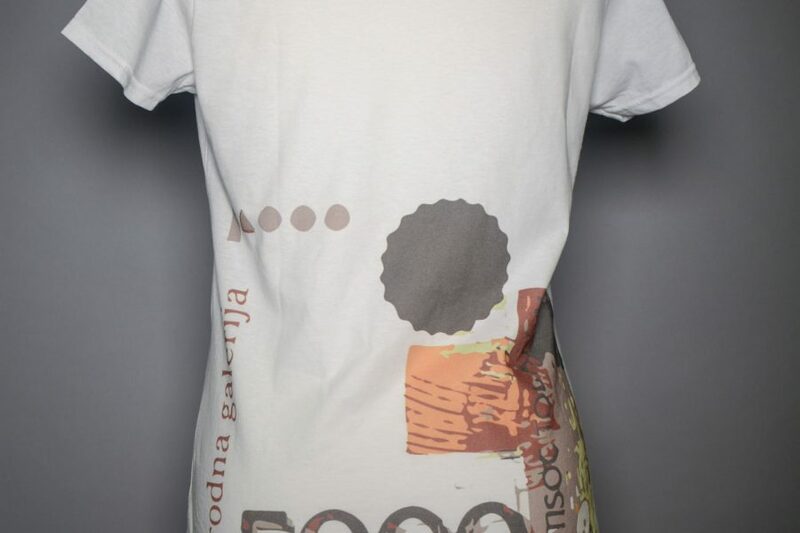 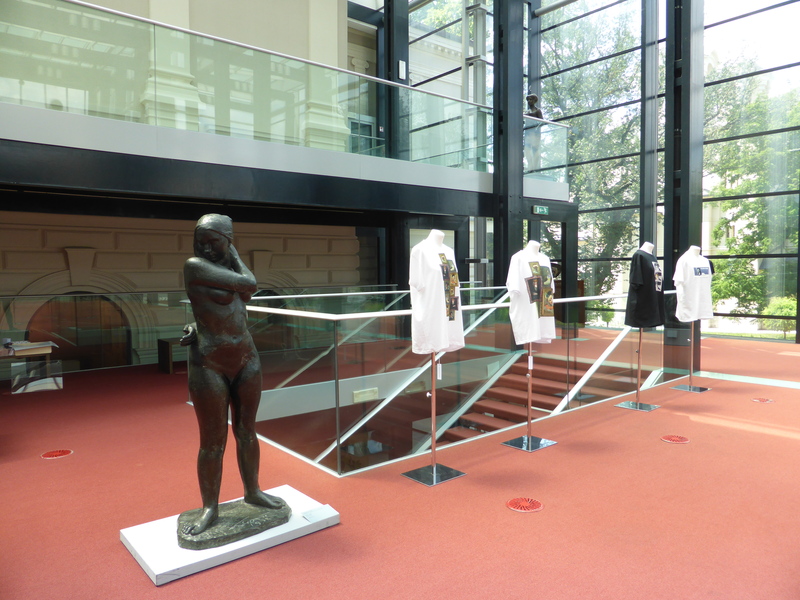 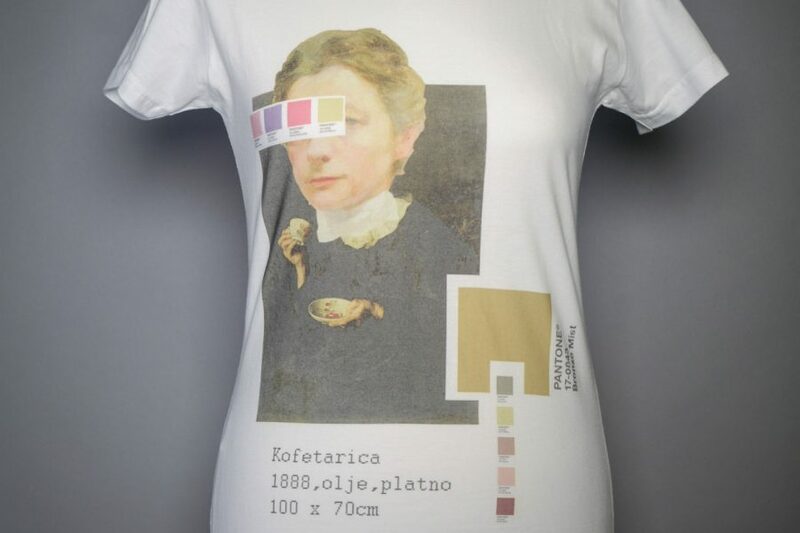 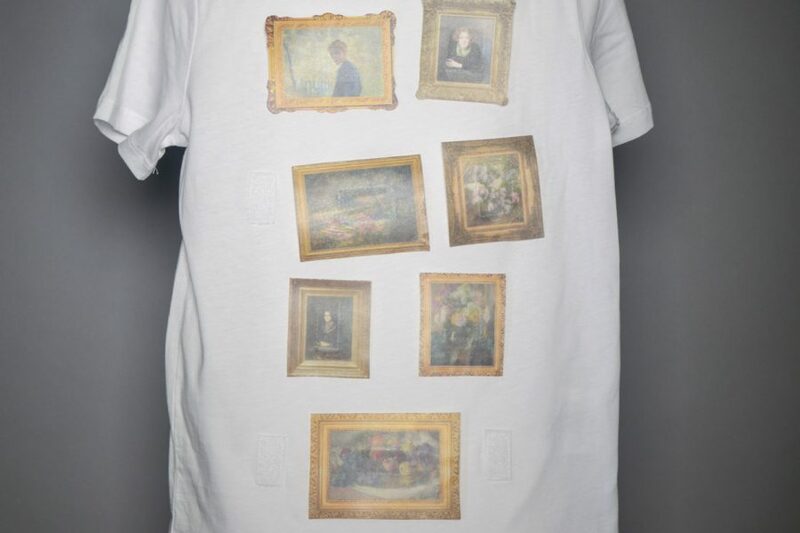 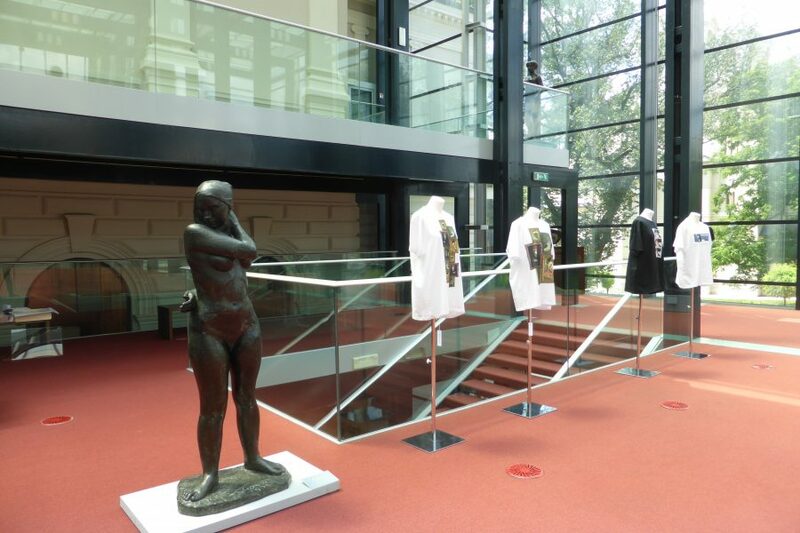 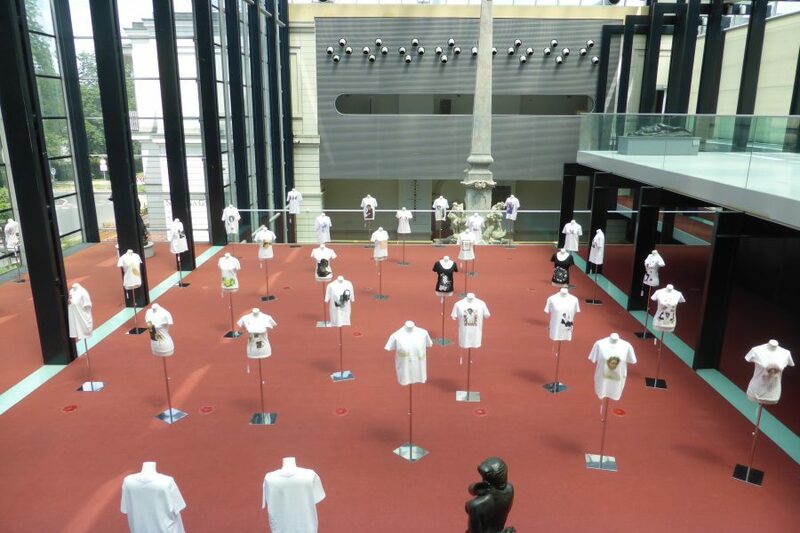 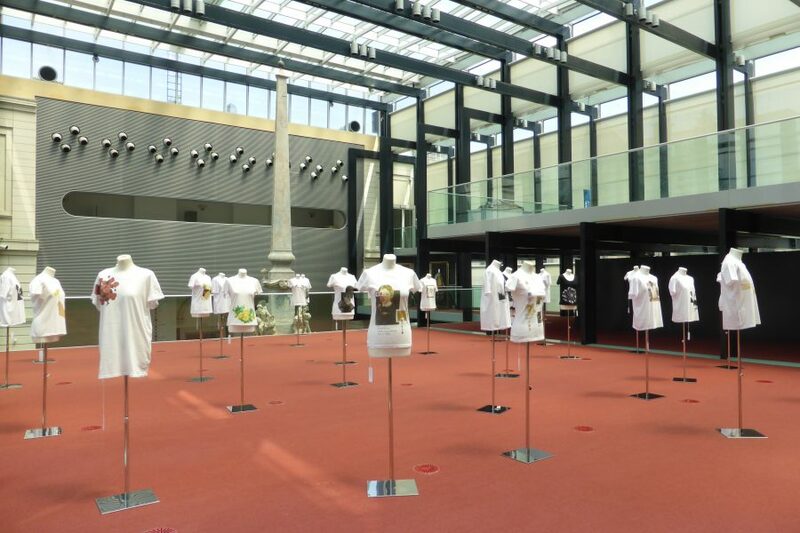 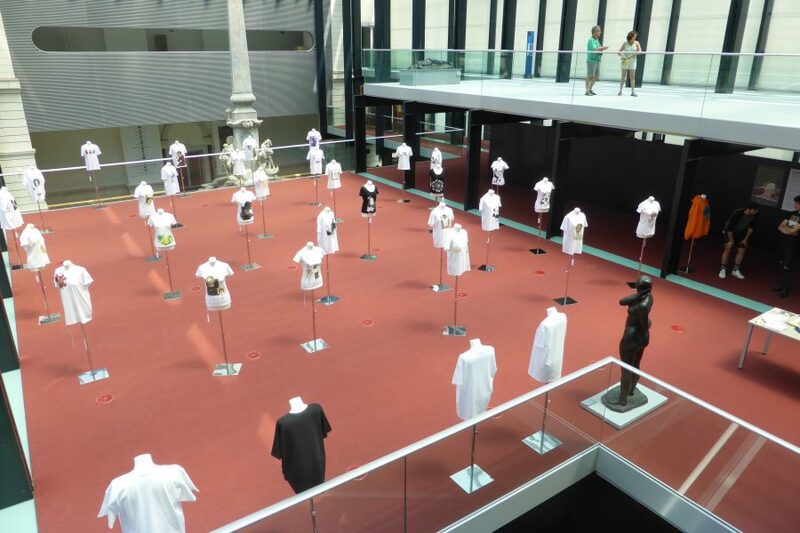 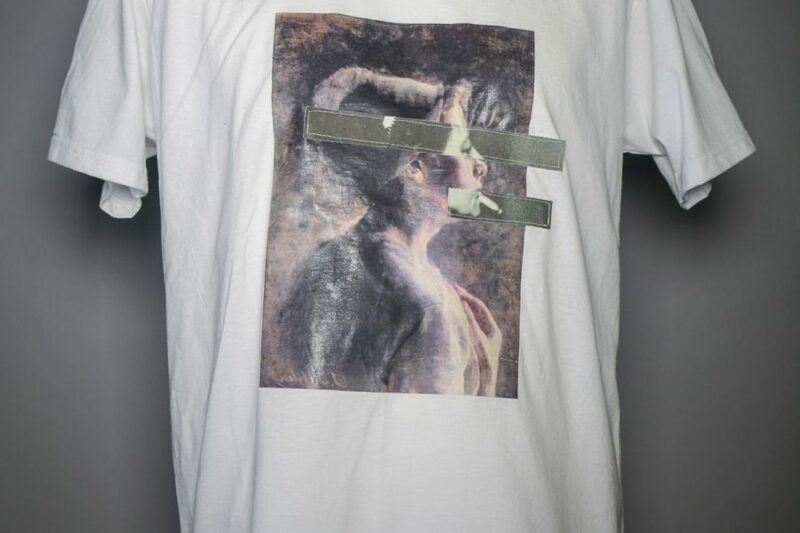 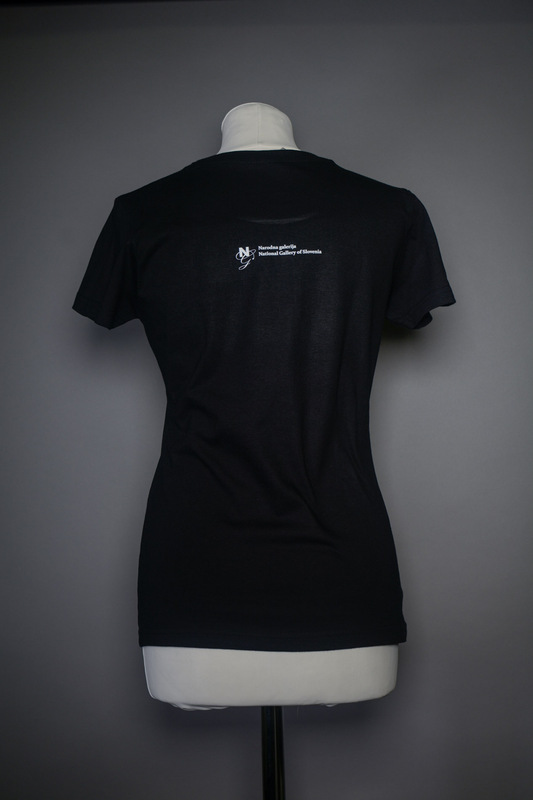 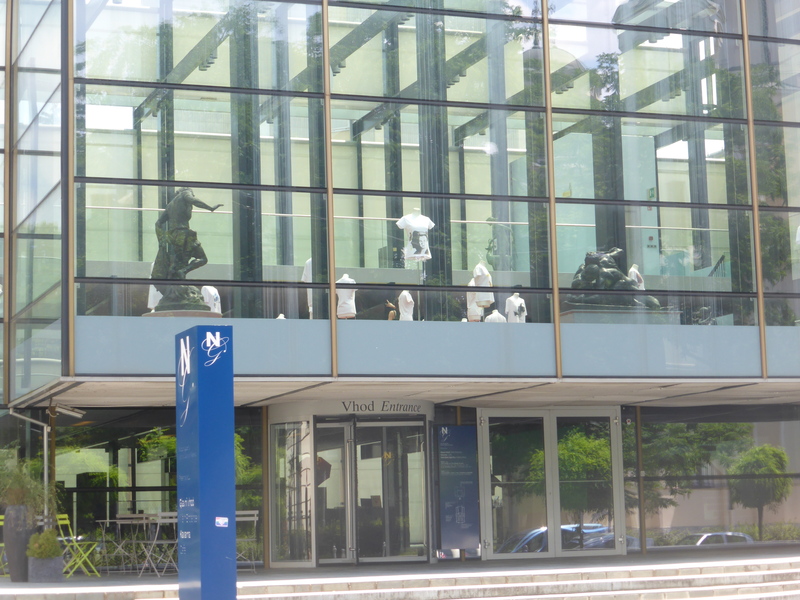 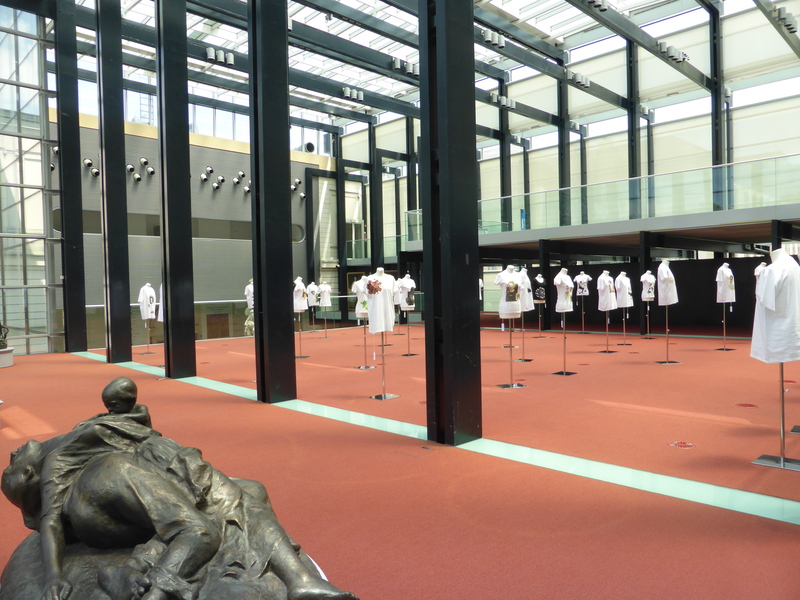 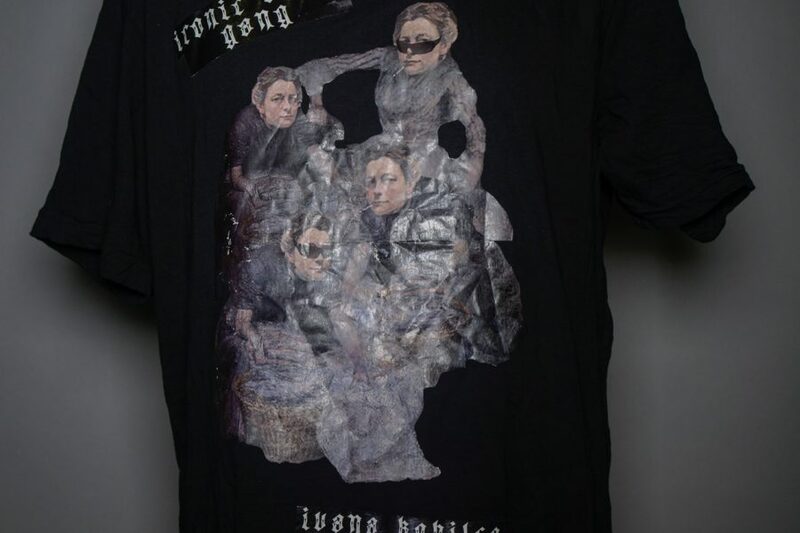 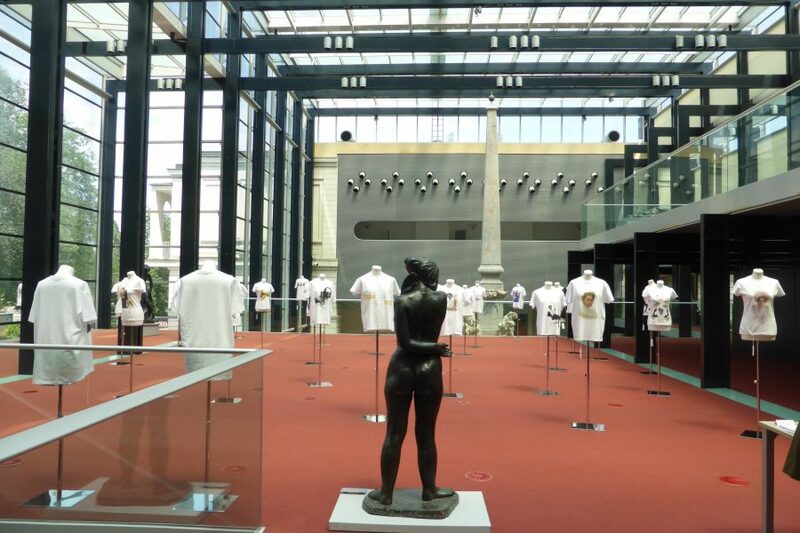 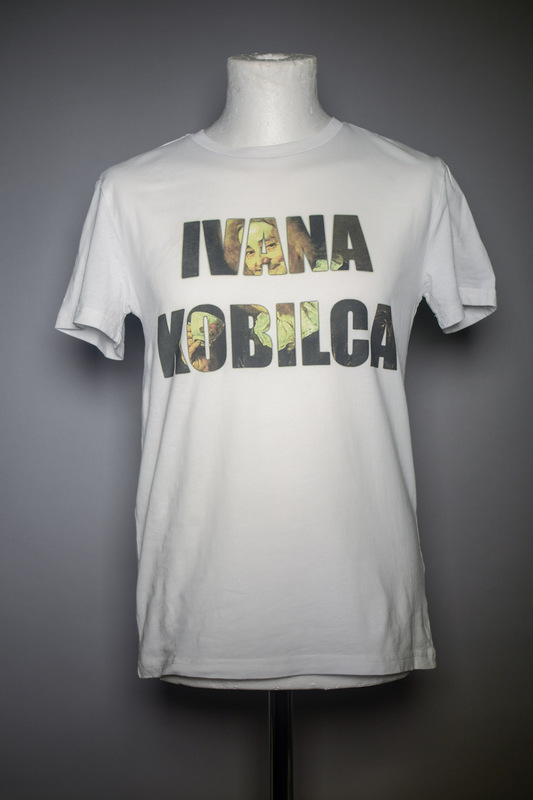 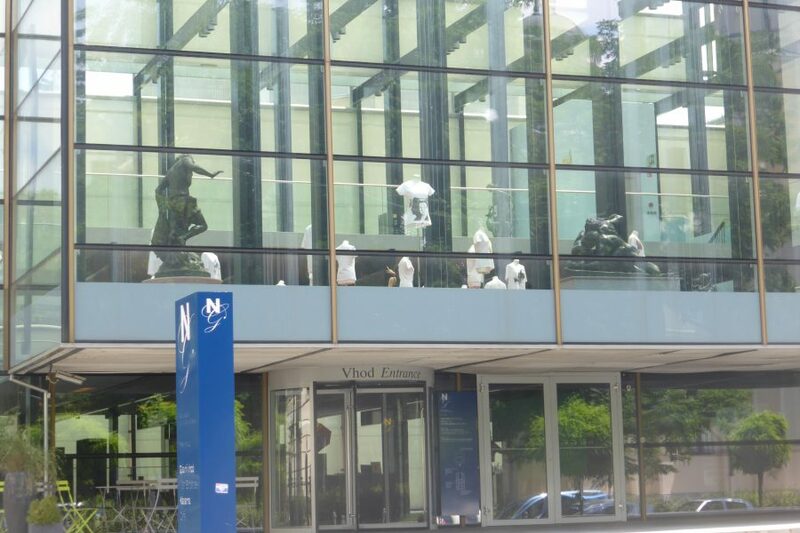 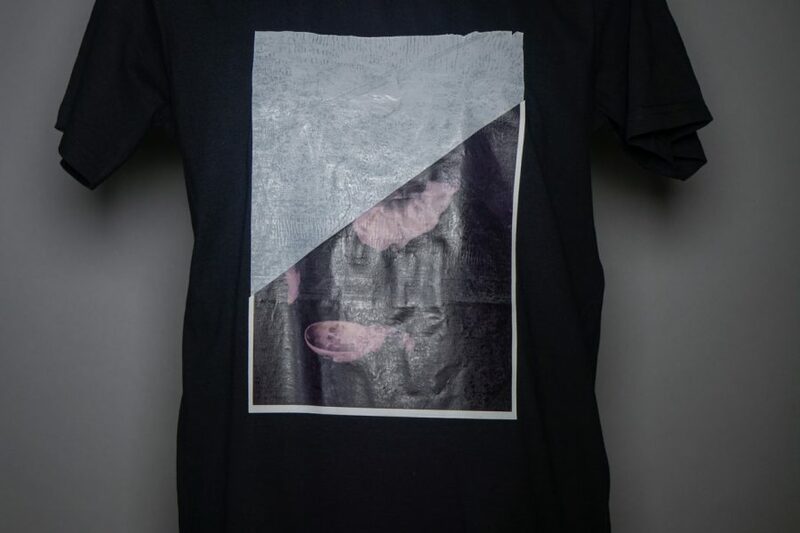 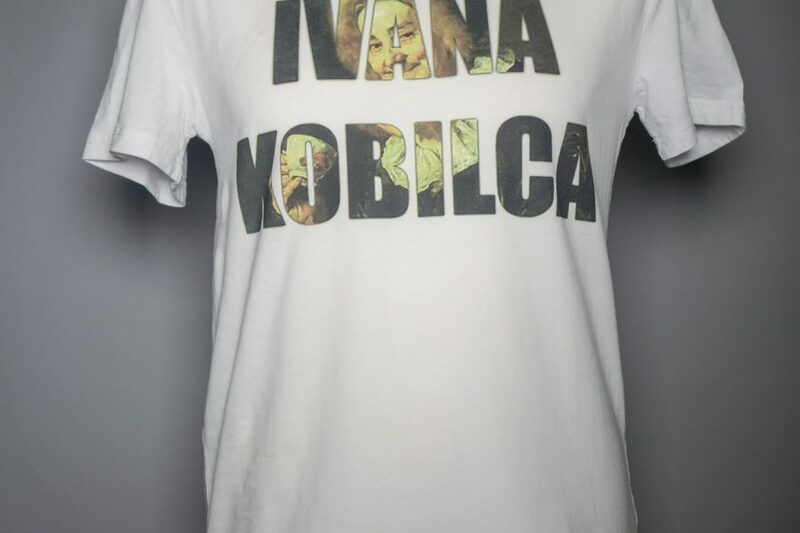 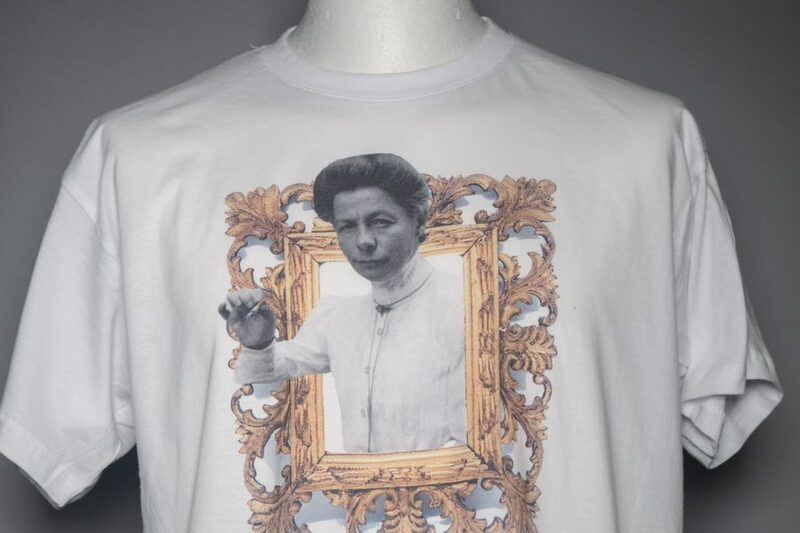 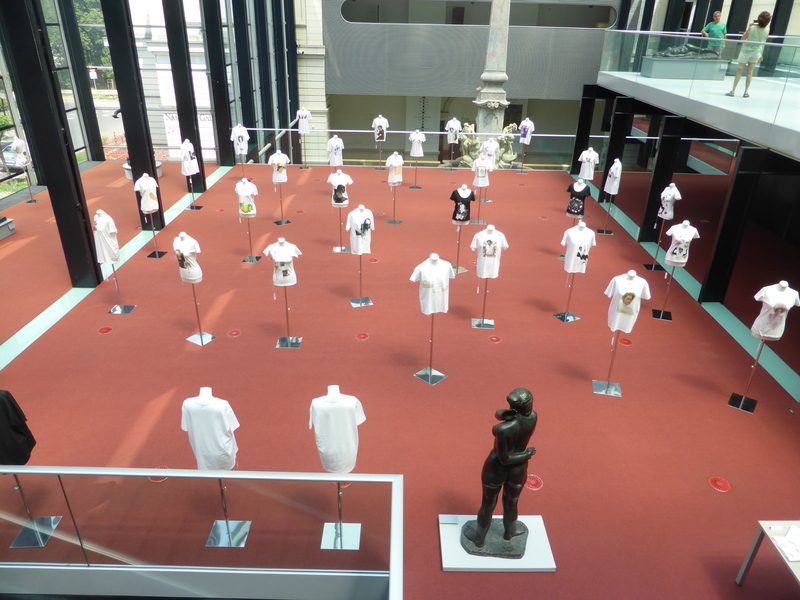 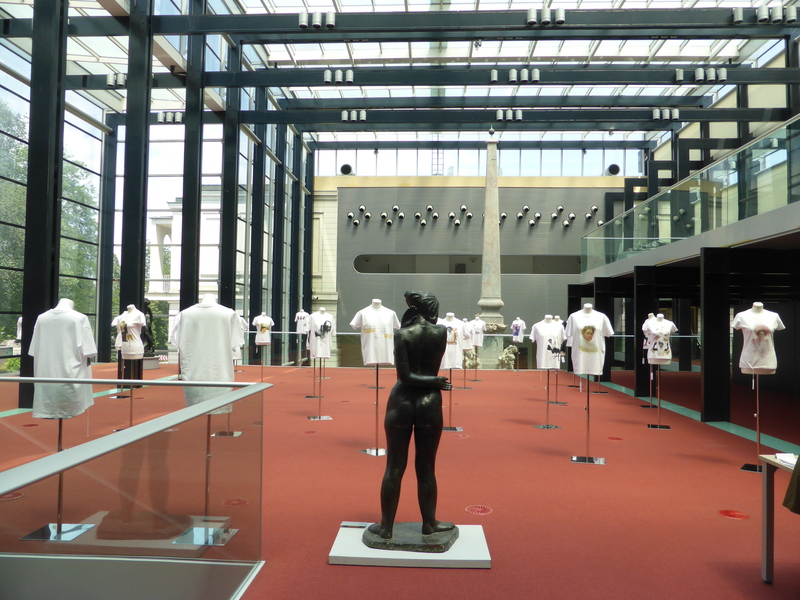 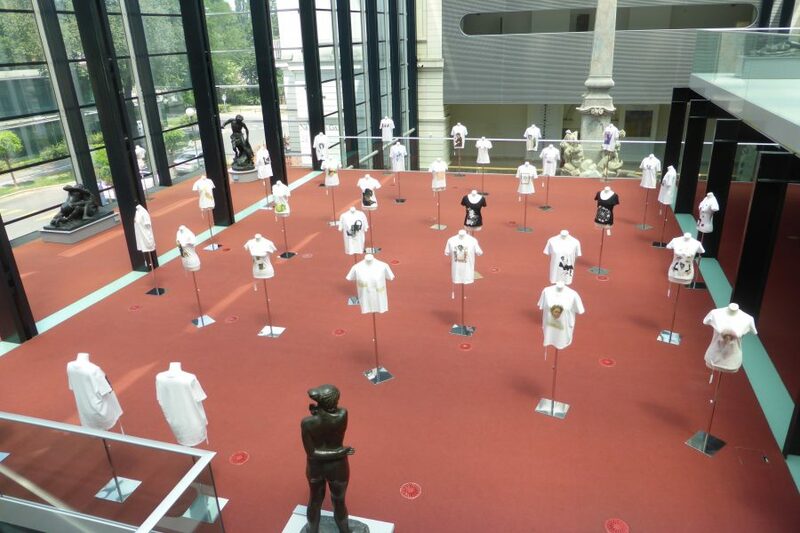 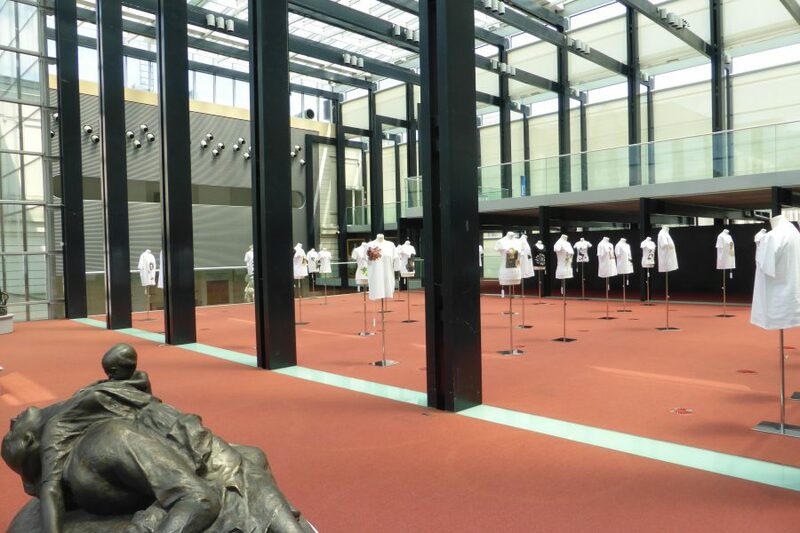 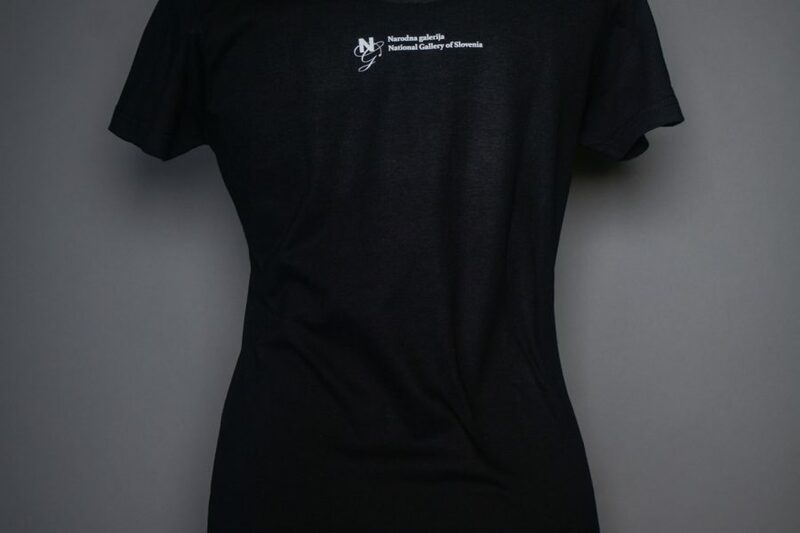 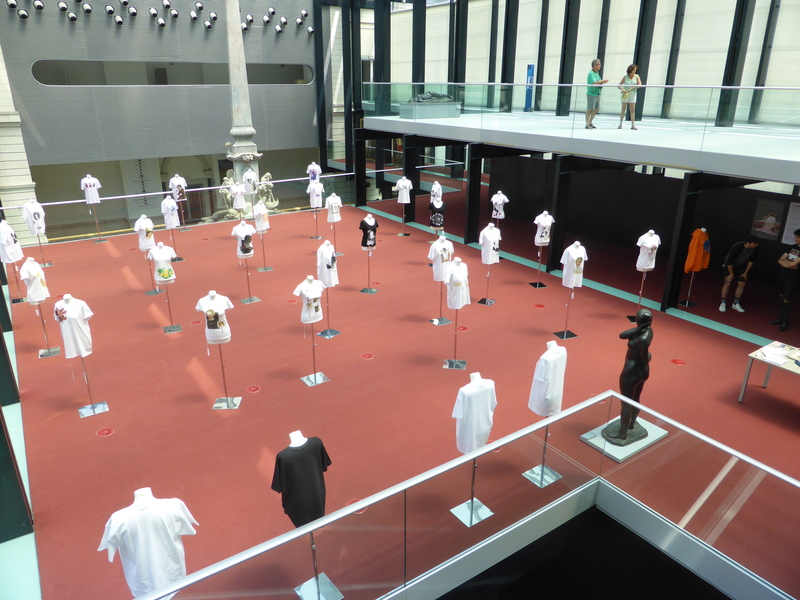 On Museums night of June 16, 2018, from 18:00 to 24:00, the T-shirt sales exhibition has taken place in the mezzanine of the National Gallery in Ljubljana. 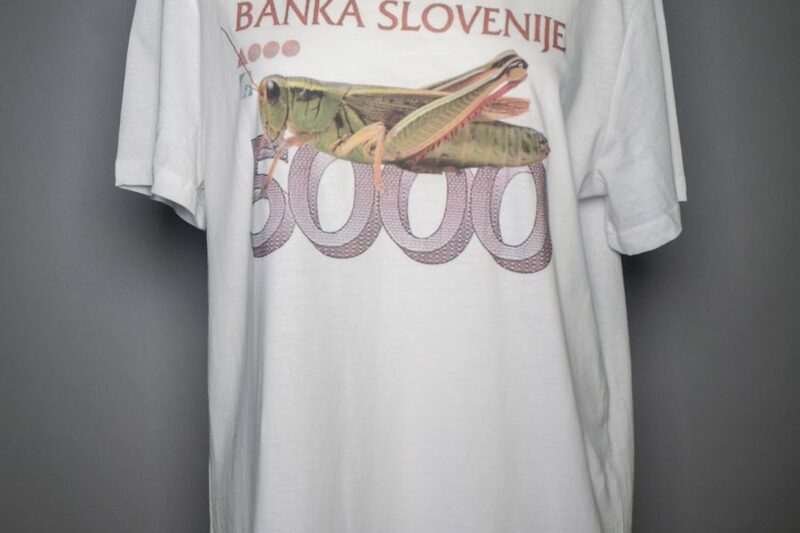 Ljubljana has been experiencing a true tourist boom in recent years, and thus brings a new great opportunity for designing textile products for cultural tourism – t. i. souvenirs. 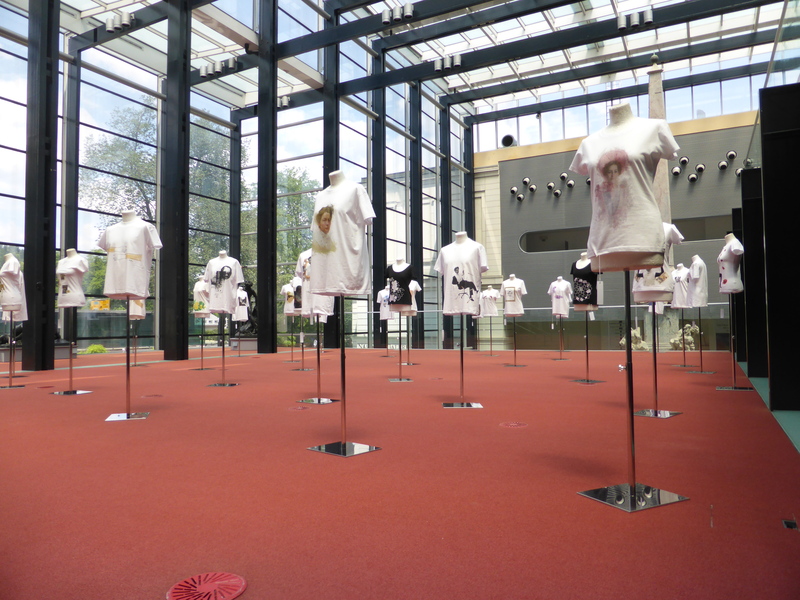 Among the most desirable and sold tourist souvenirs, of course, are t-shirts. 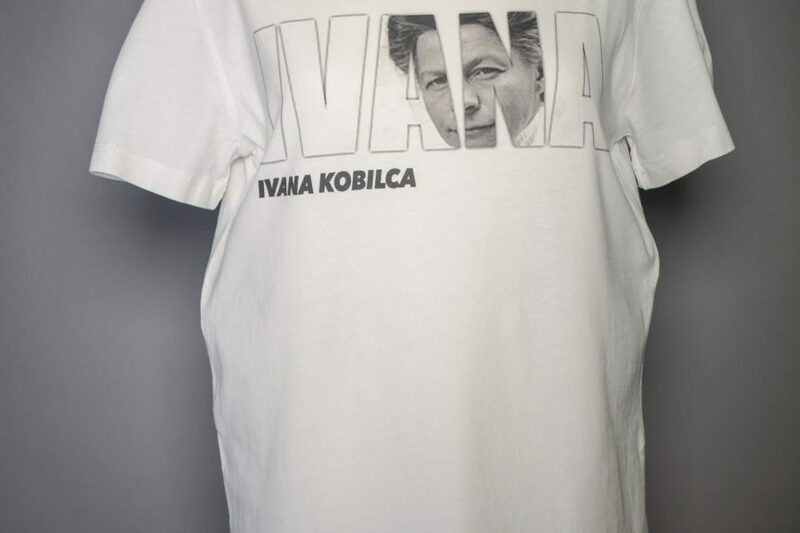 The starting point for the student work was the outstanding Slovenian painter Ivan aKobilca, whose retrospective exhibition will be held at the National Gallery from June 20, 2018. 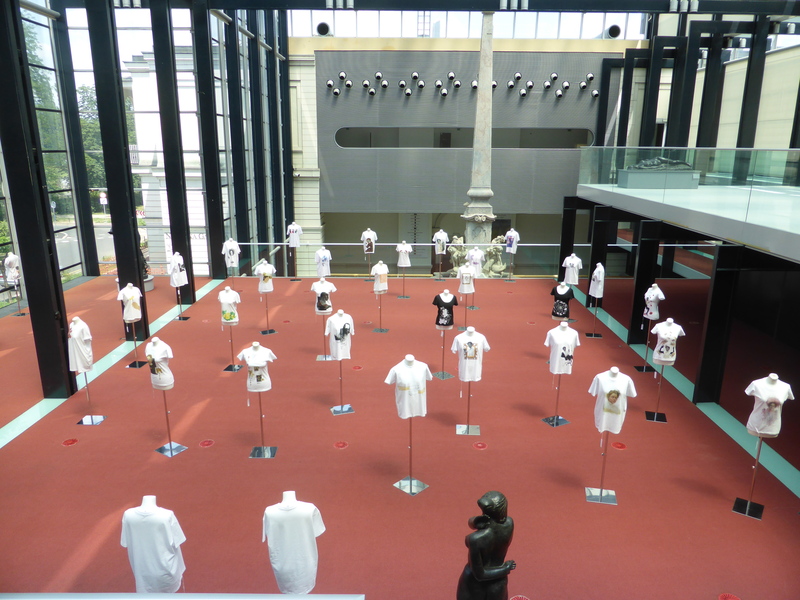 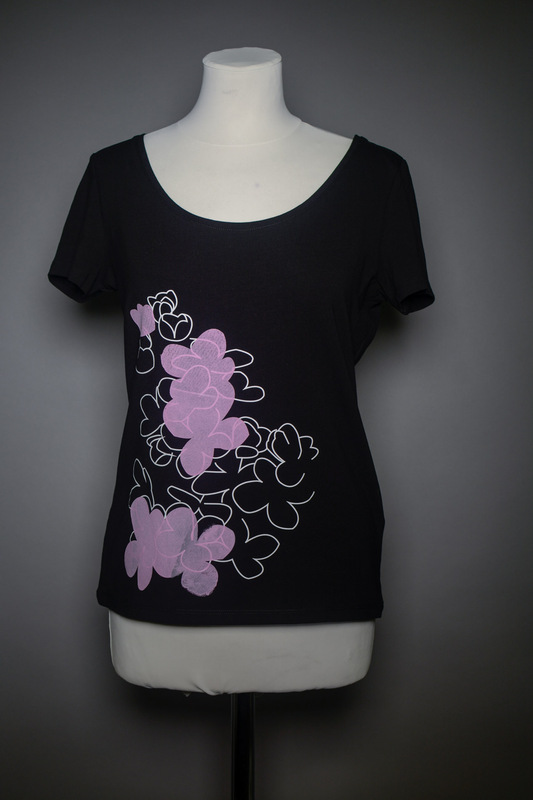 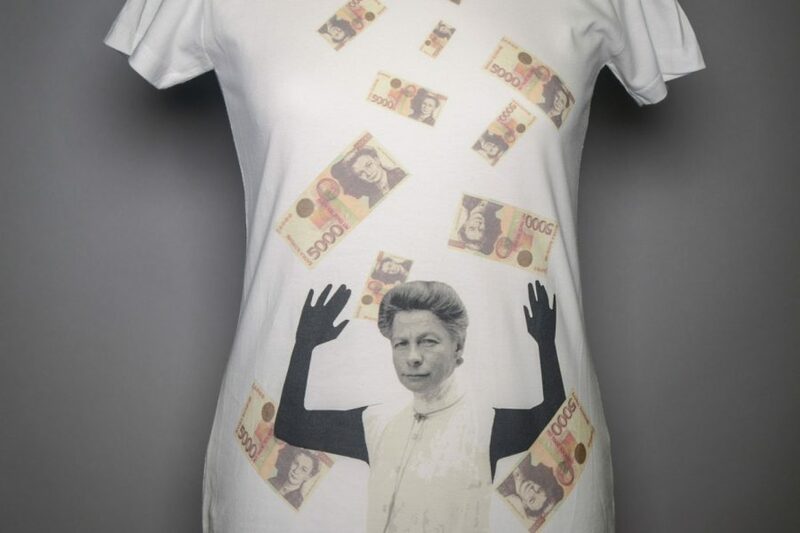 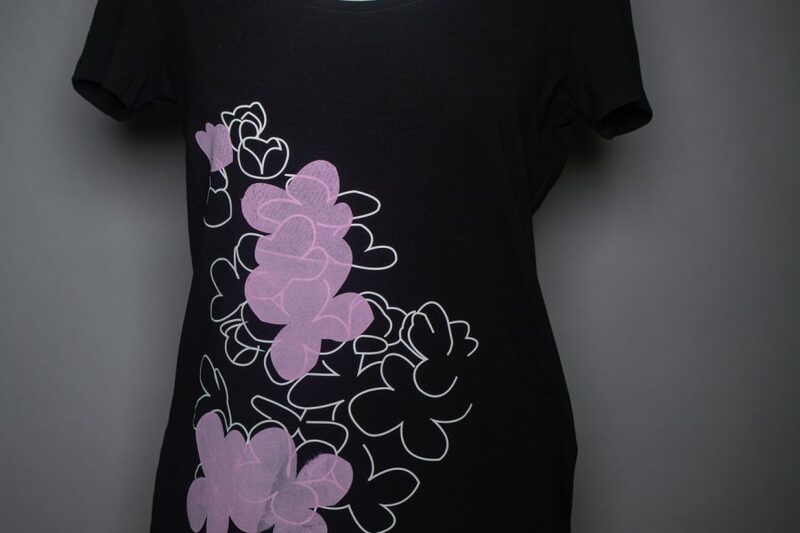 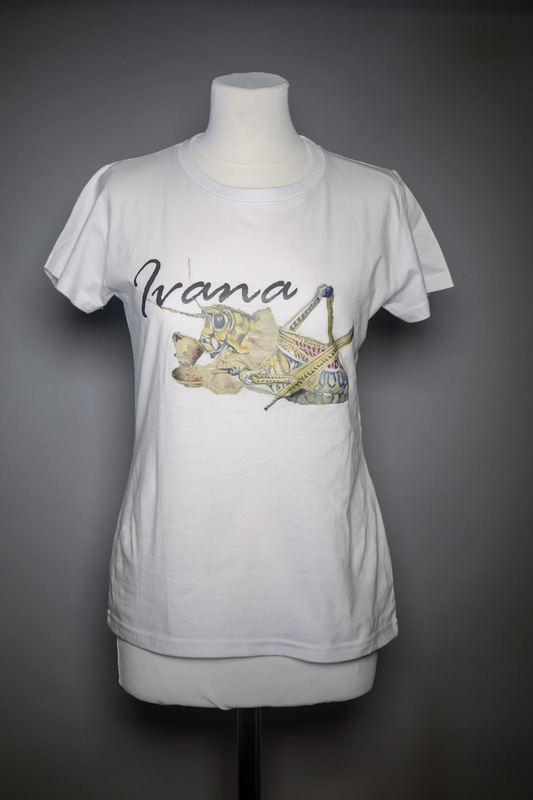 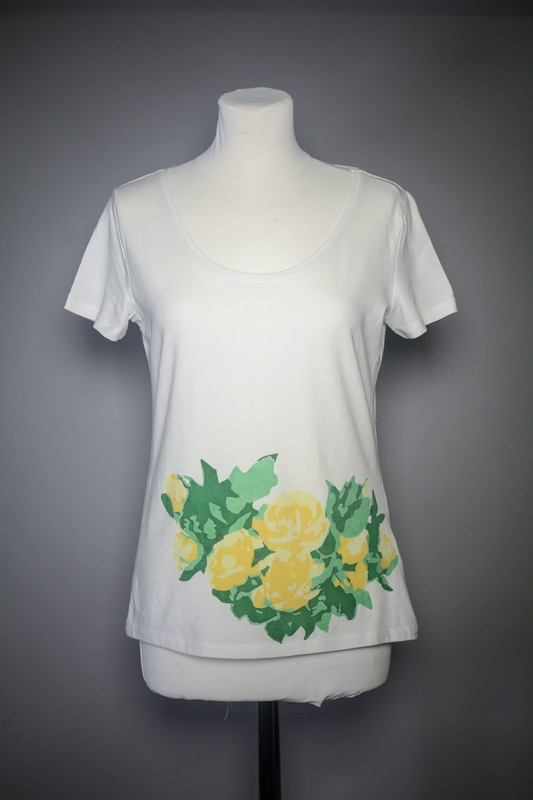 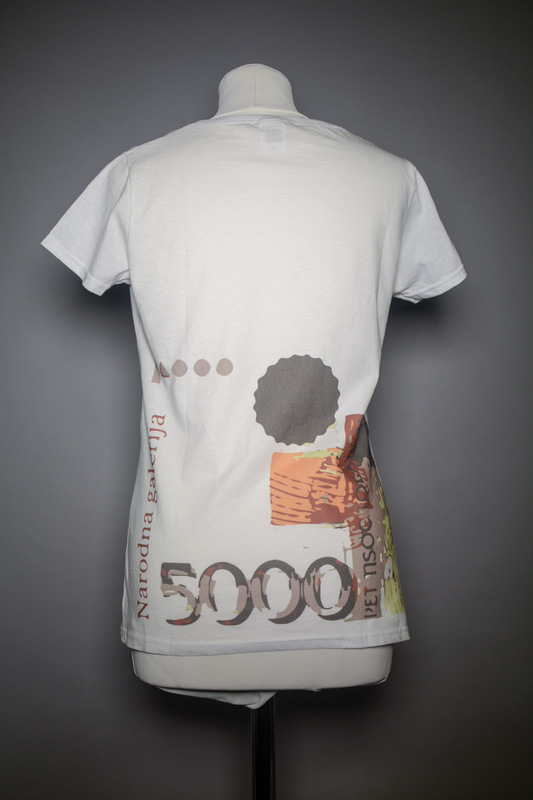 Students had to design t-shirts for sale in the museum store of NG and other similar museum or tourist shops. 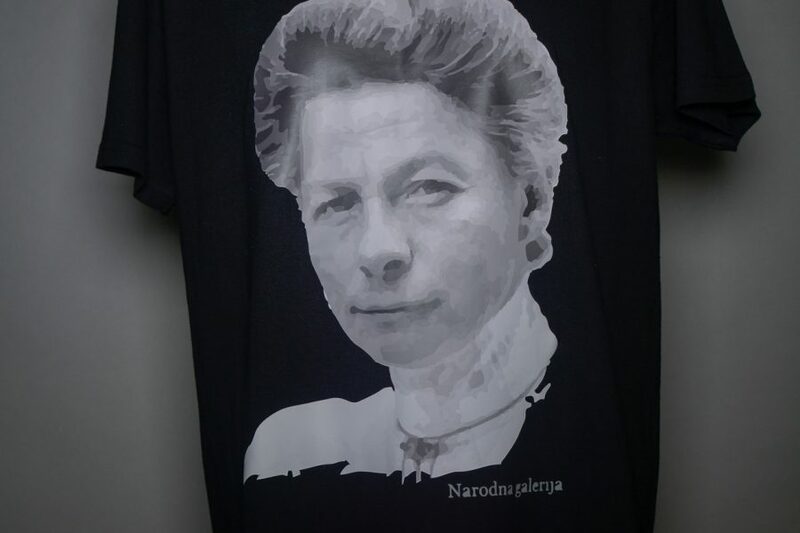 Considering the fact that in the 21st century it is not so difficult to create a product, nor is it difficult to implement the product, while the oversupply of the offer is still the hardest selling of the product, they had to seriously confront the challenge of psychology of sales and selling prices according to the chosen technology . 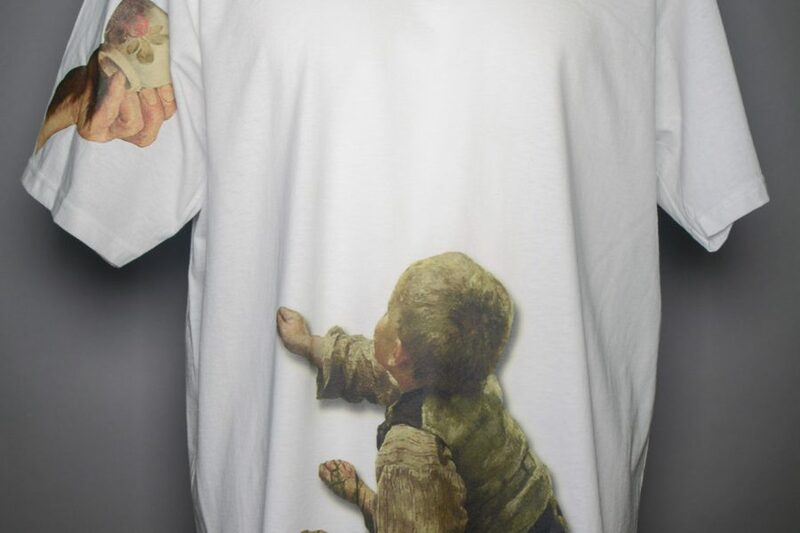 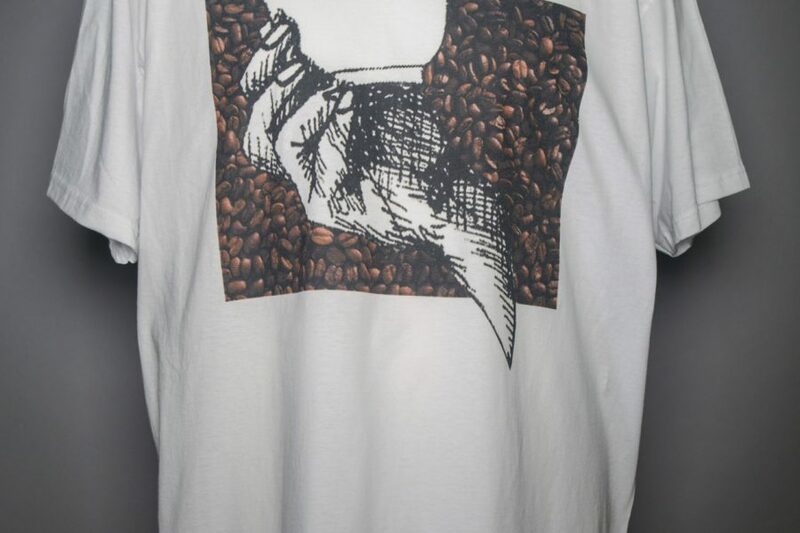 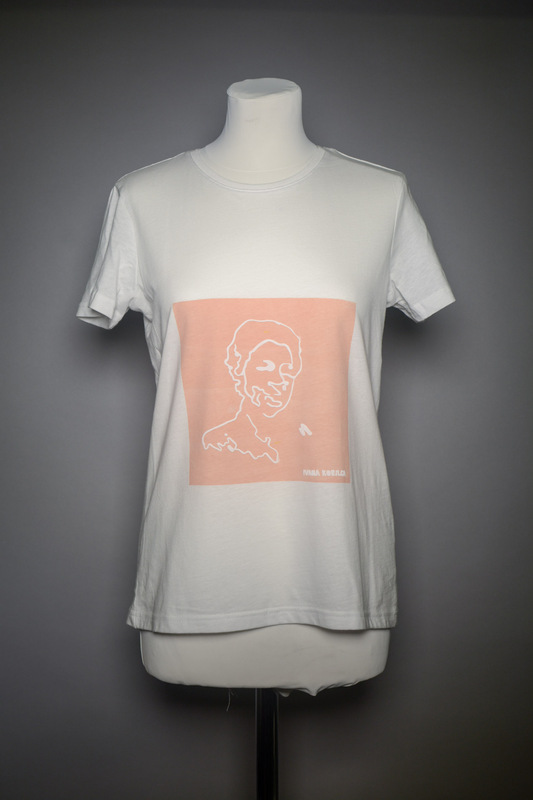 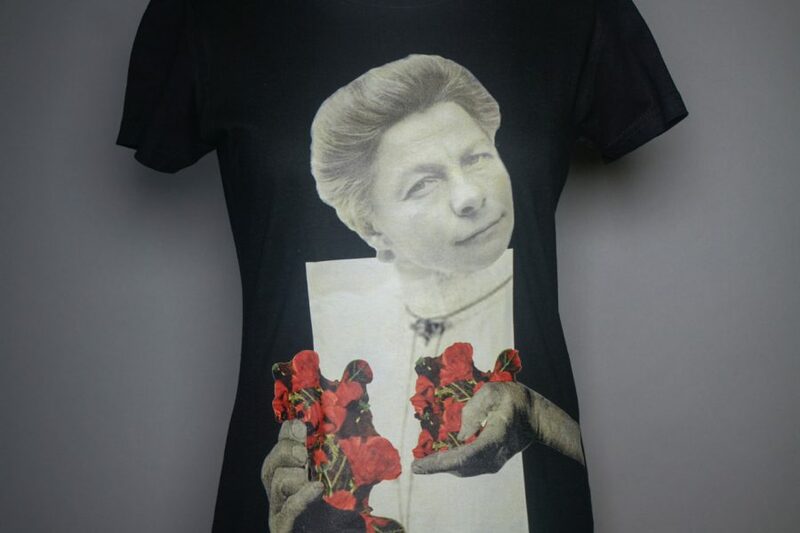 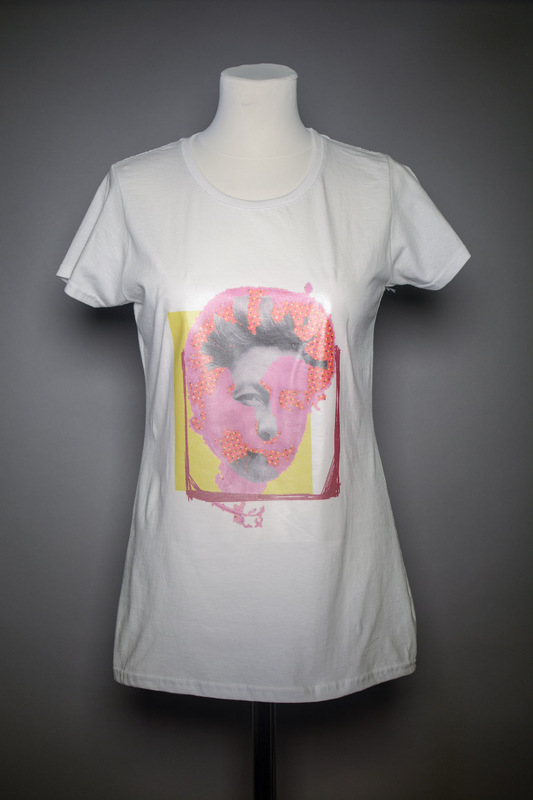 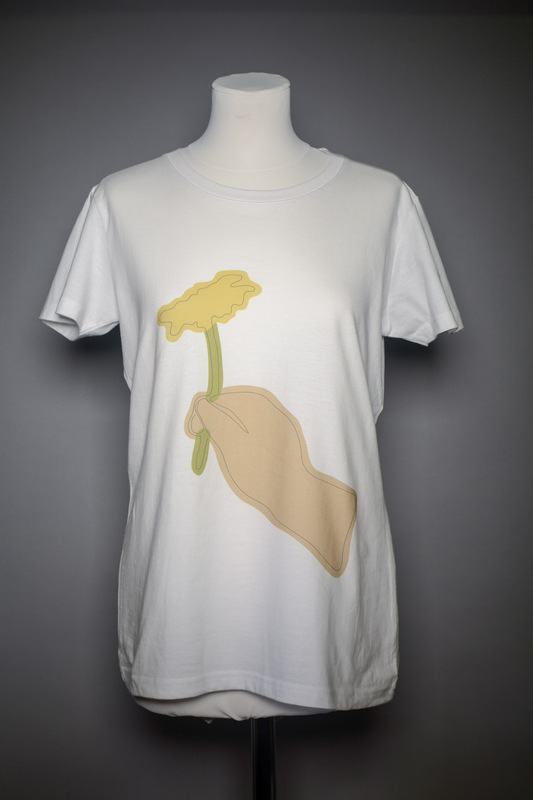 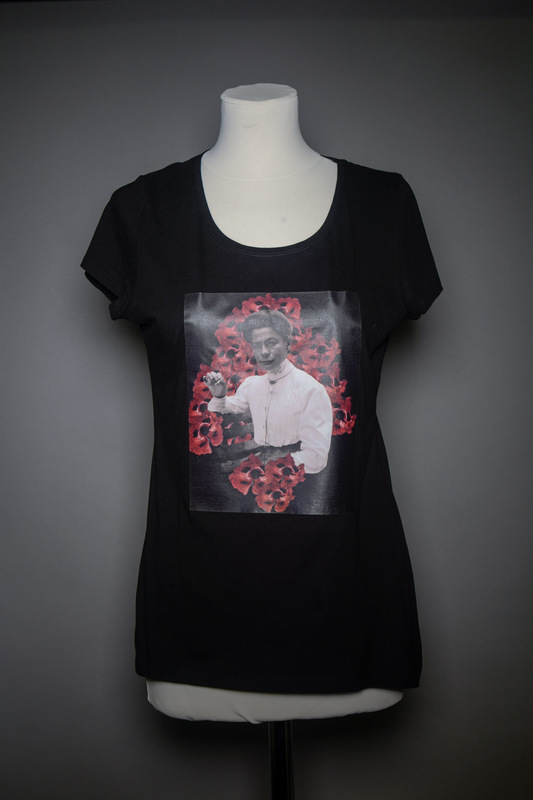 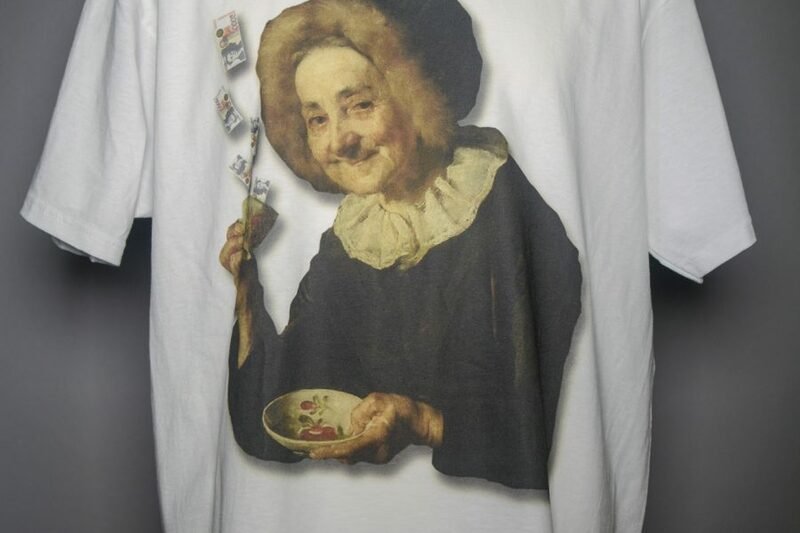 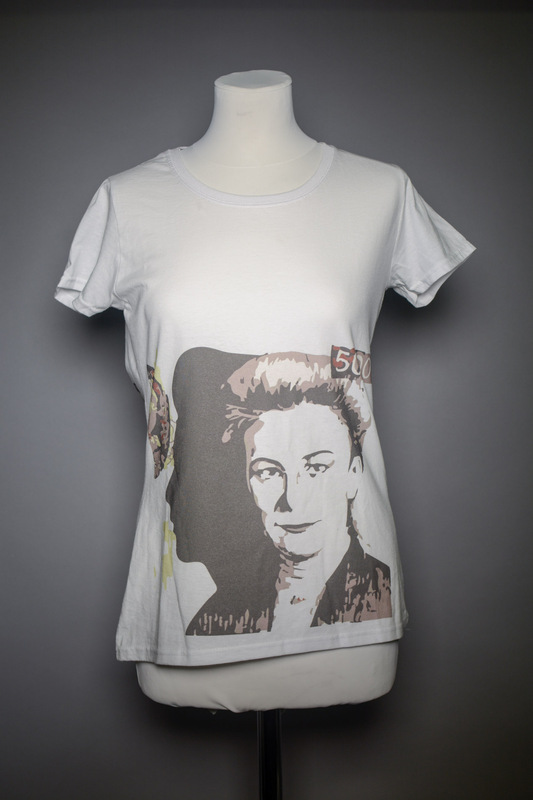 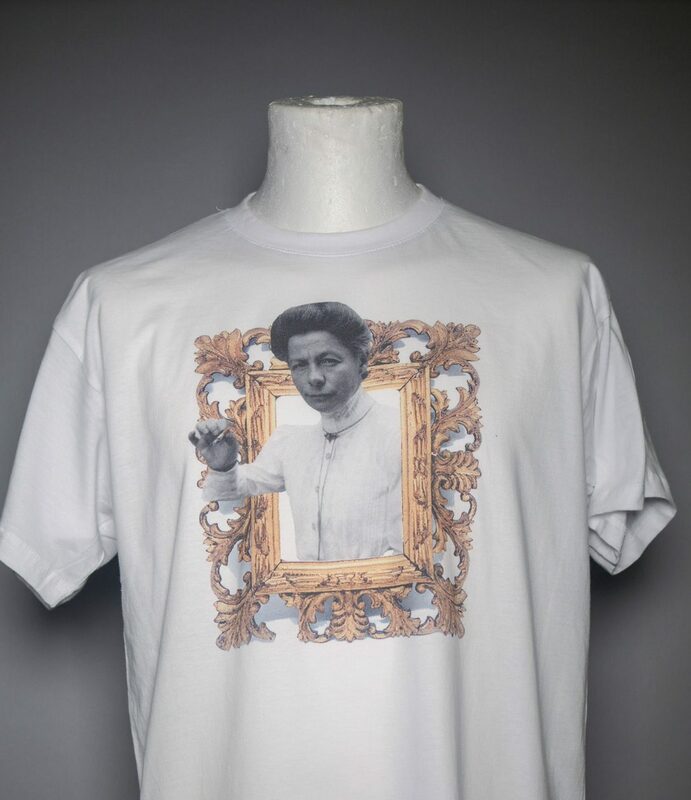 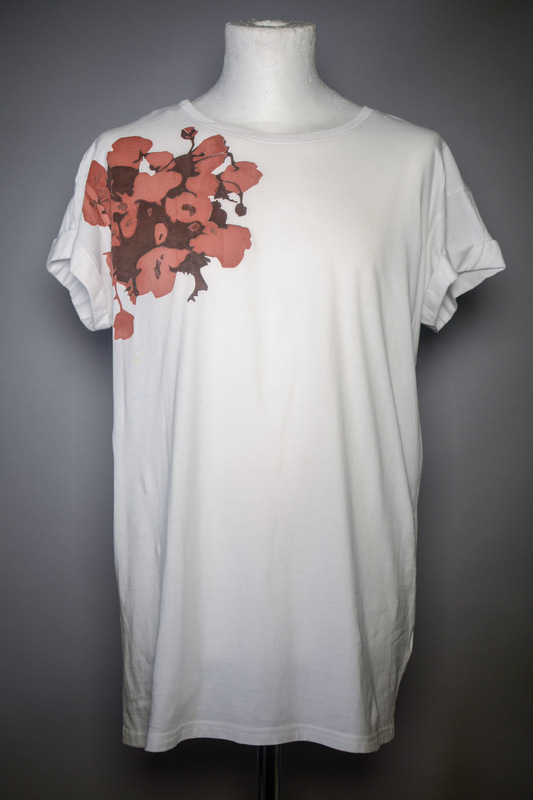 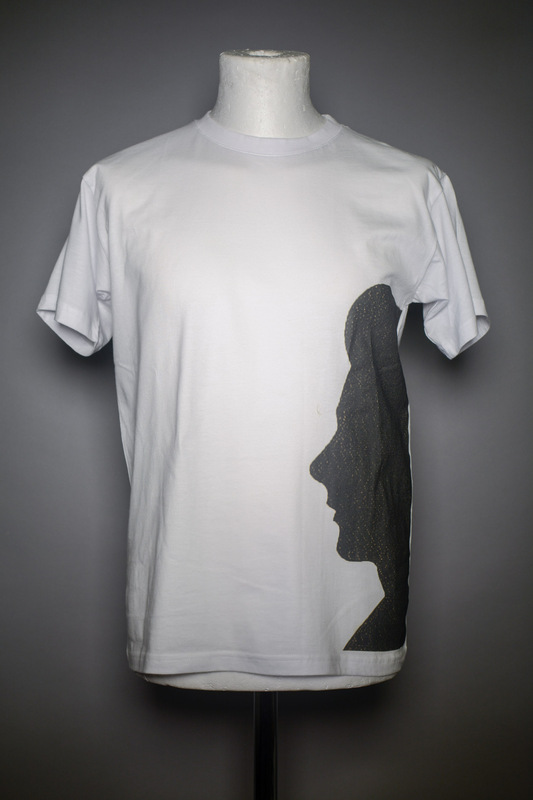 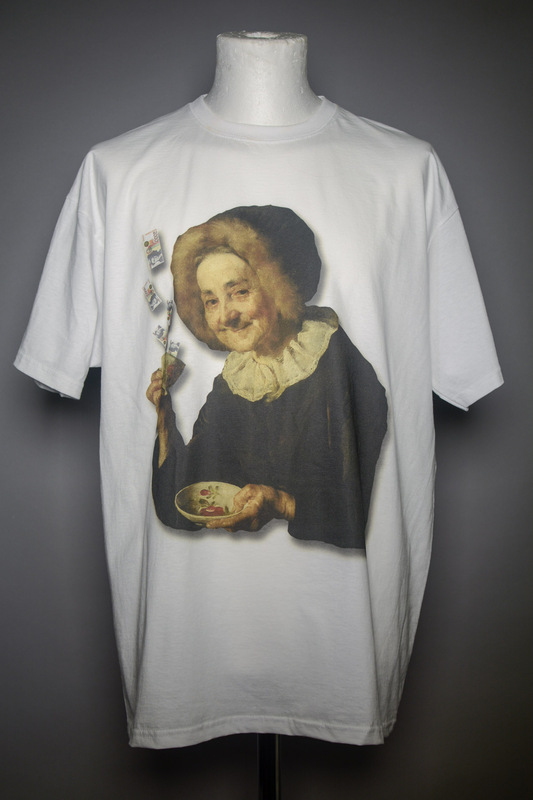 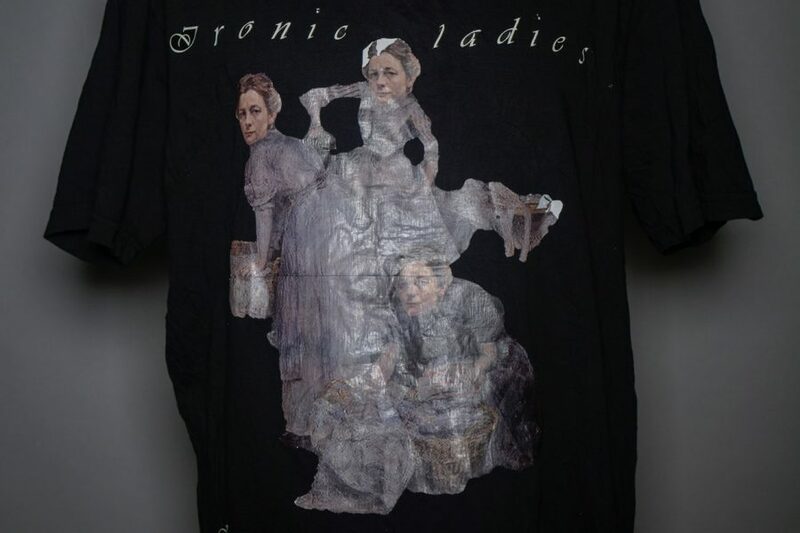 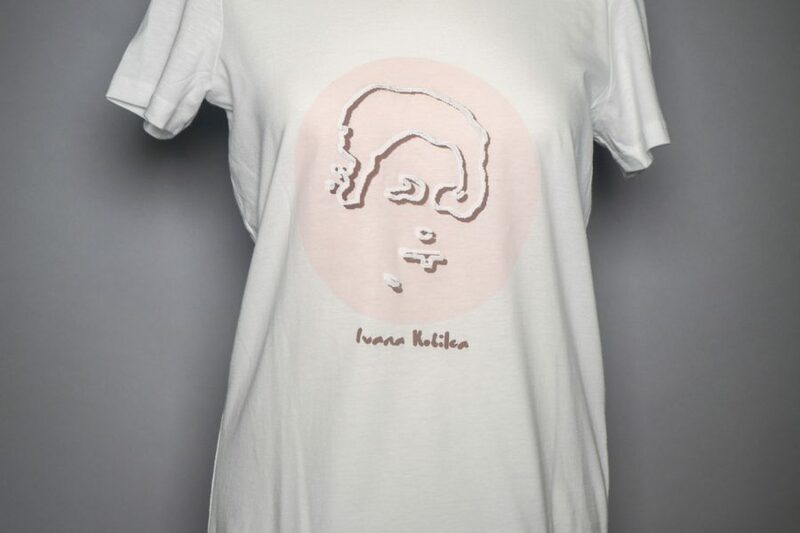 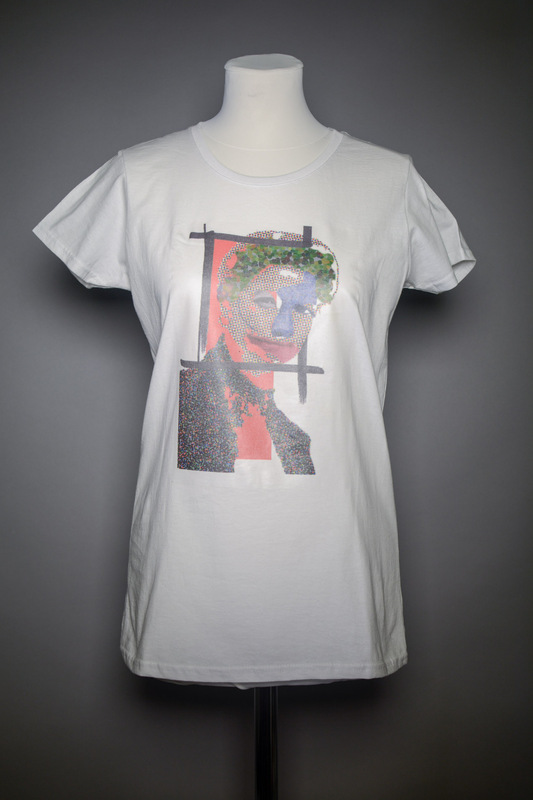 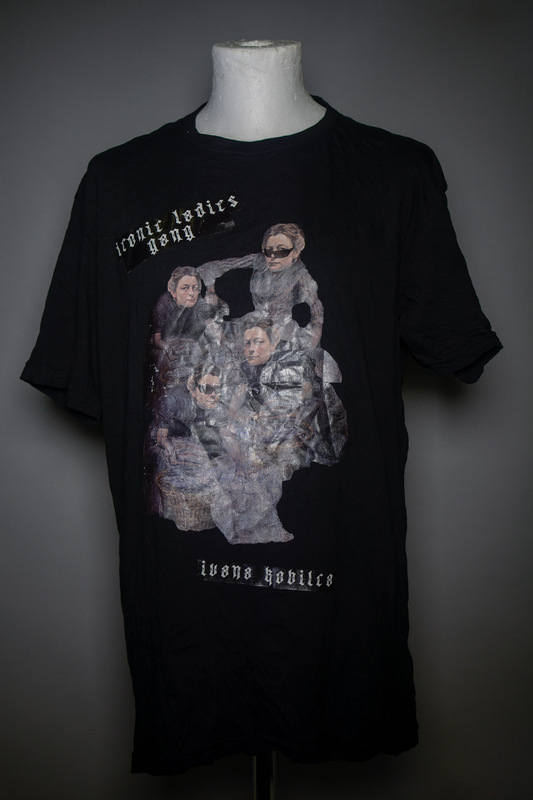 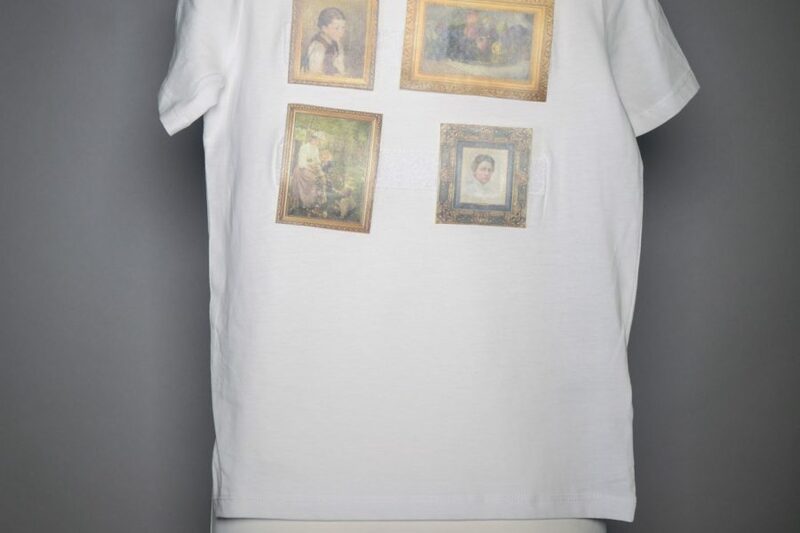 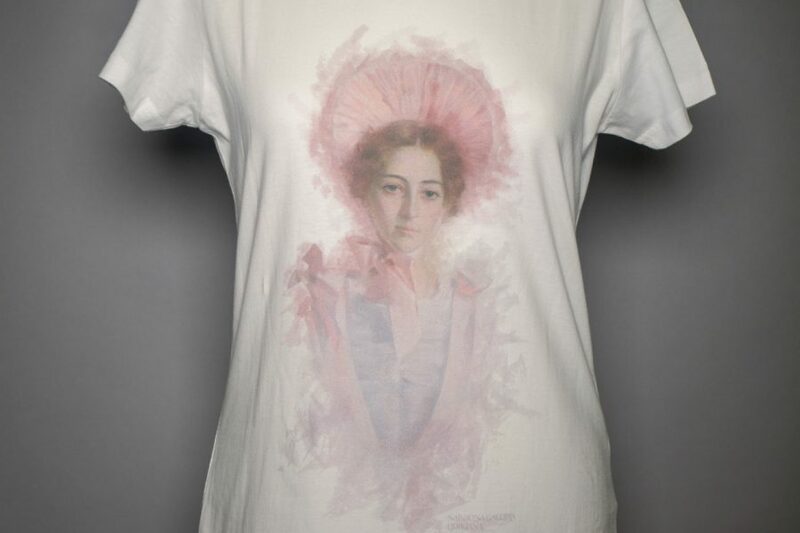 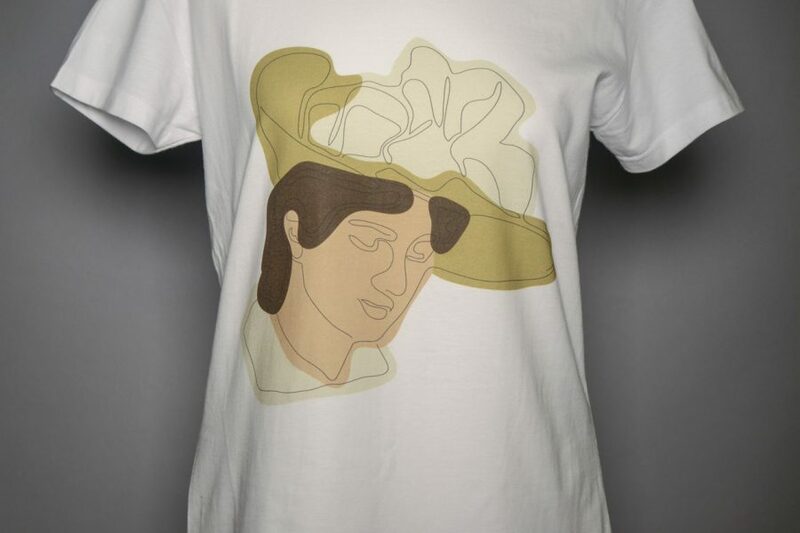 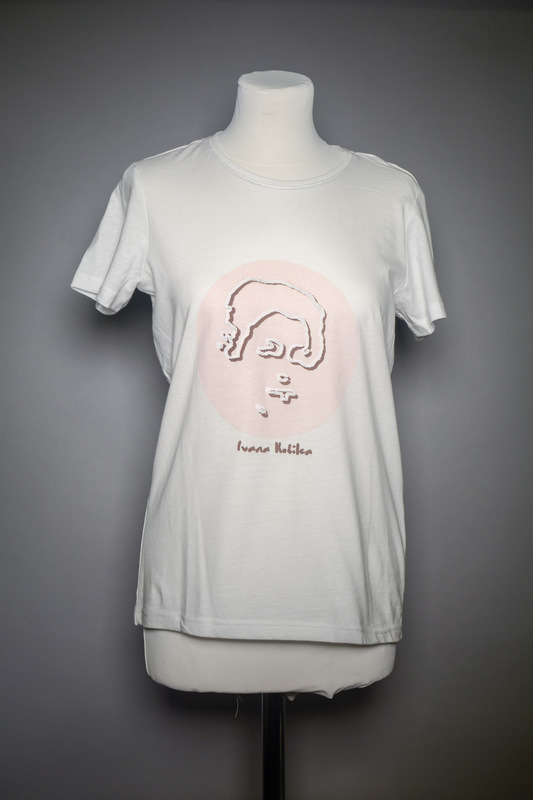 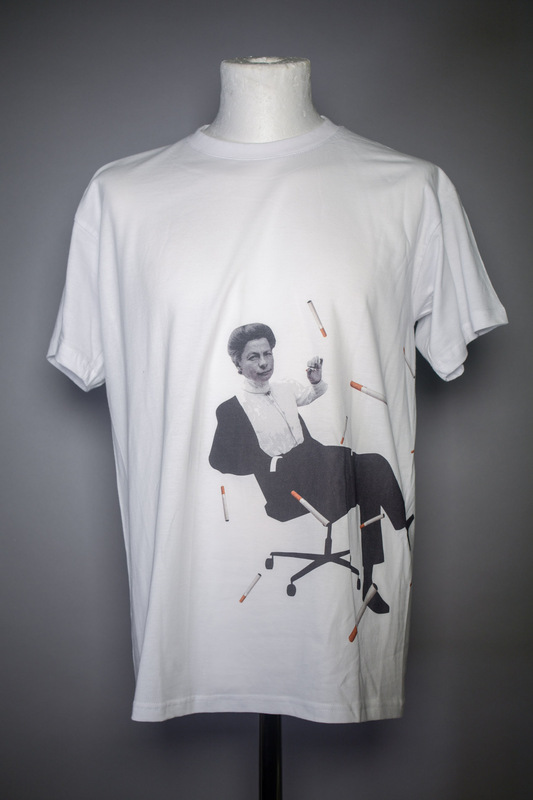 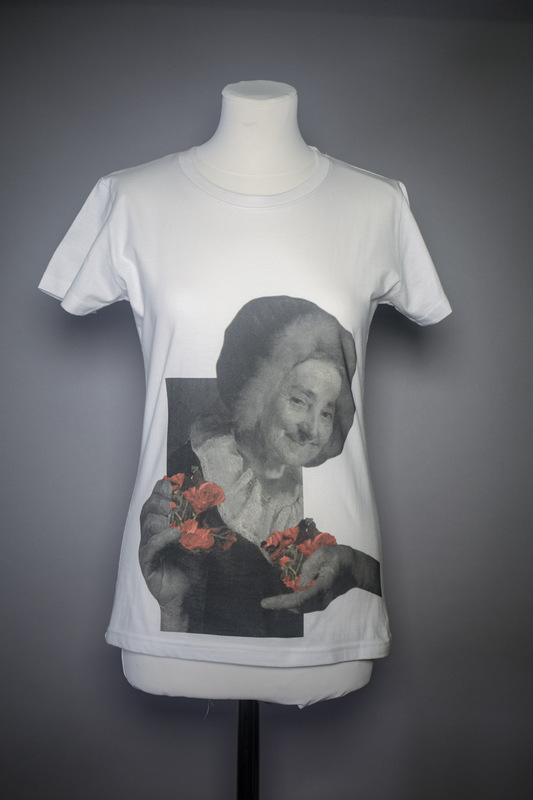 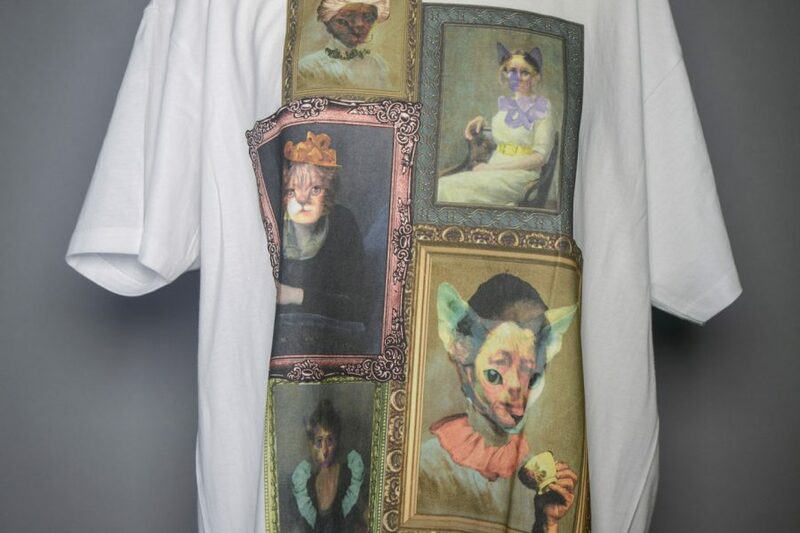 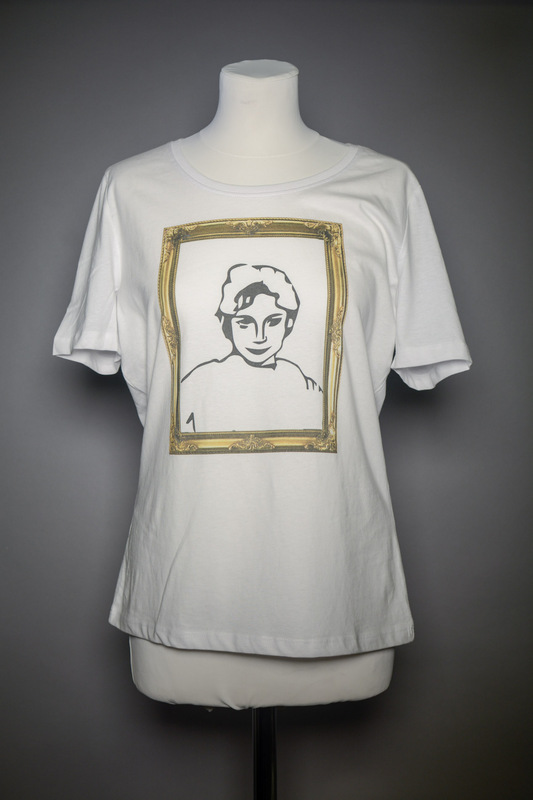 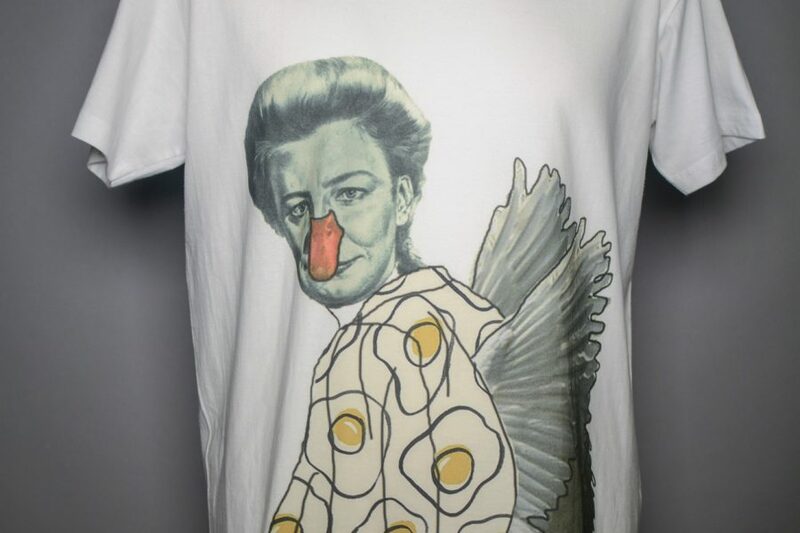 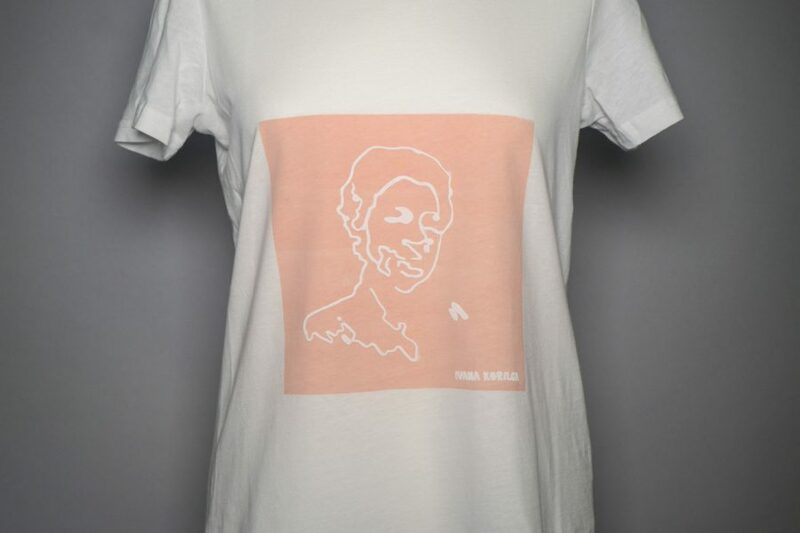 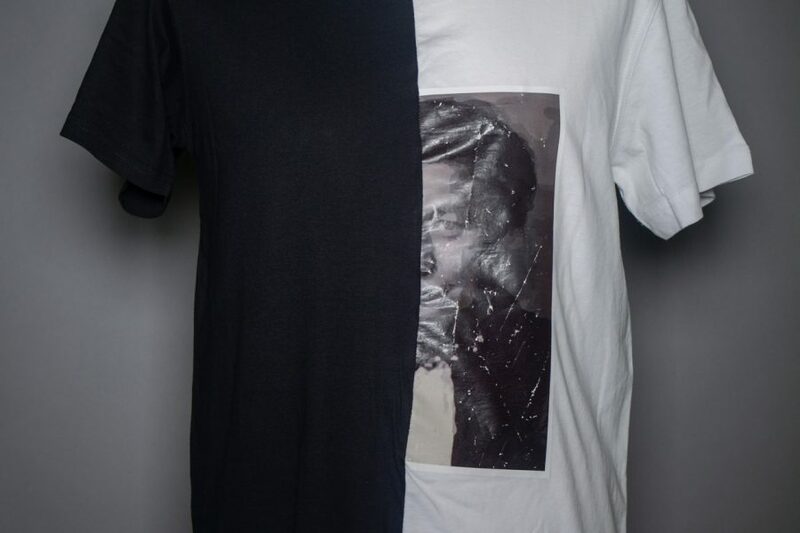 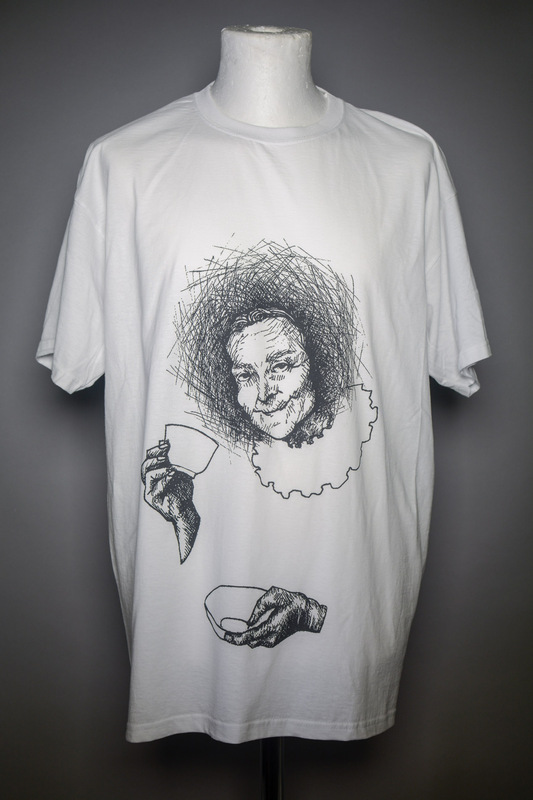 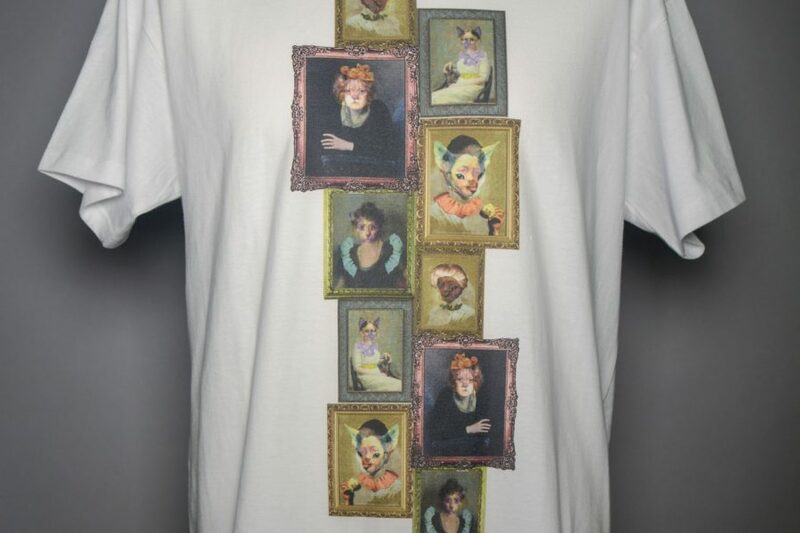 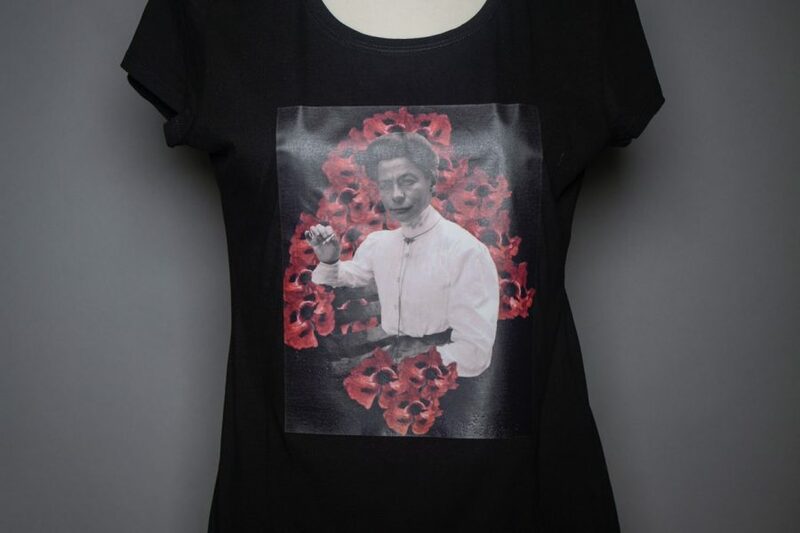 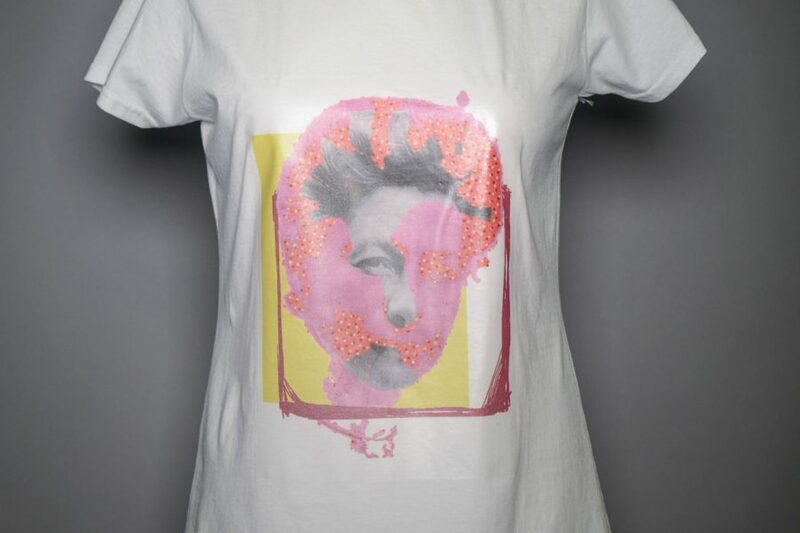 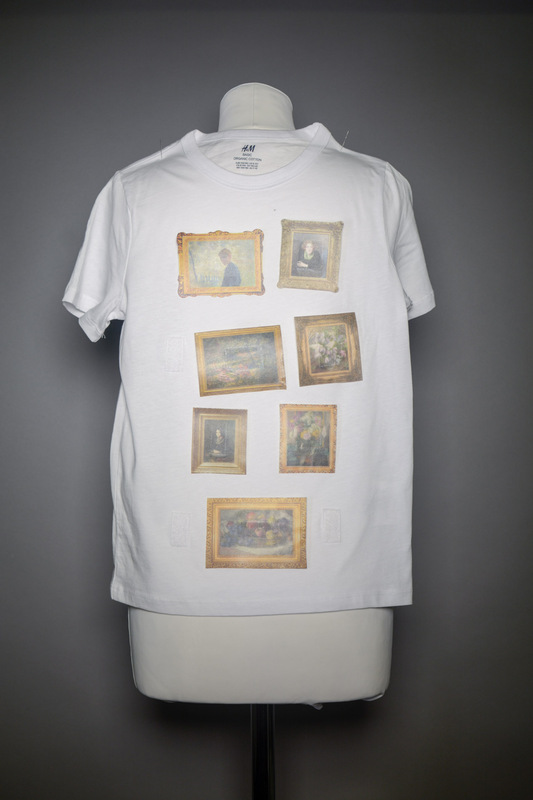 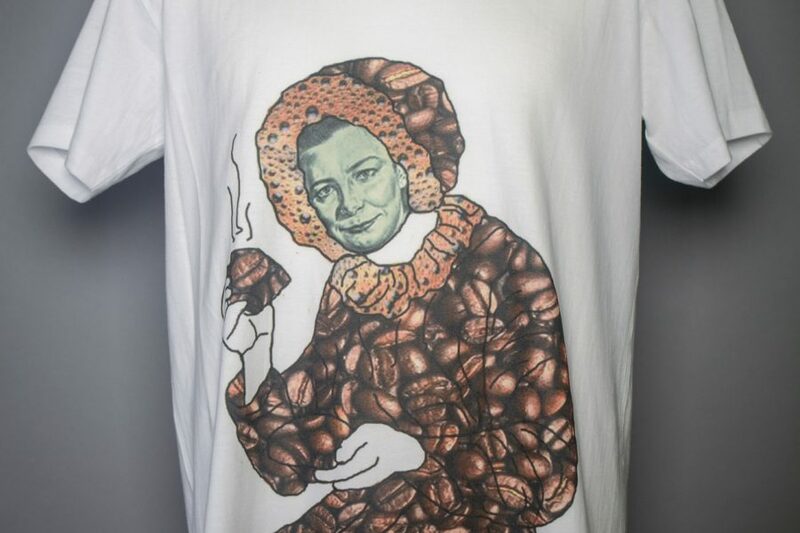 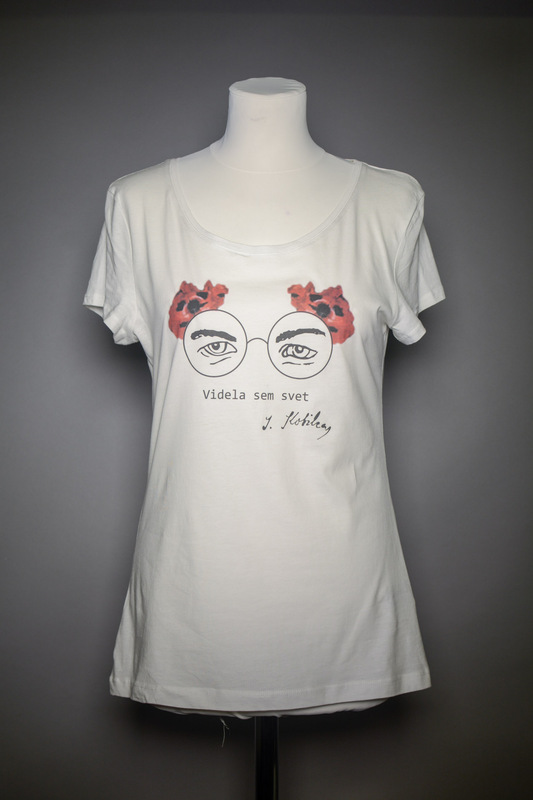 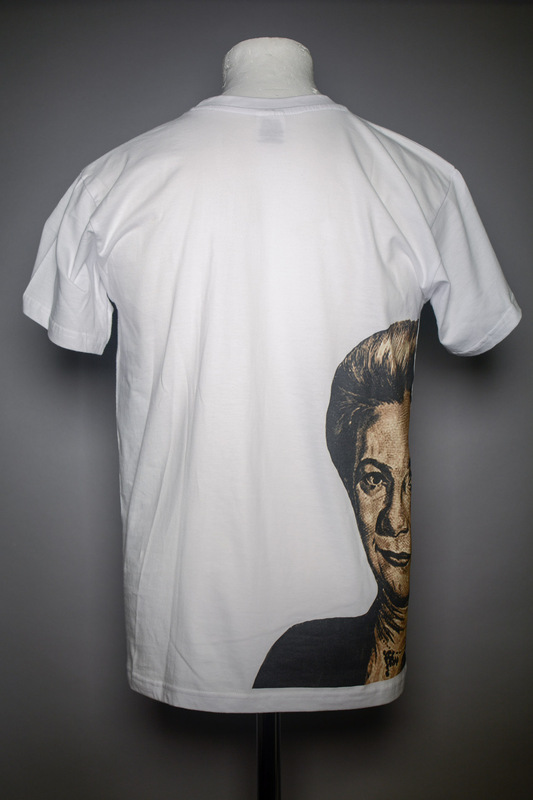 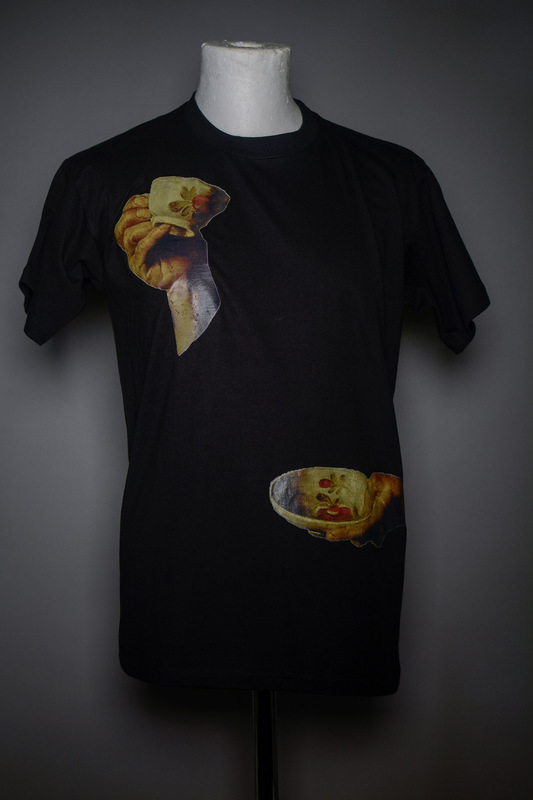 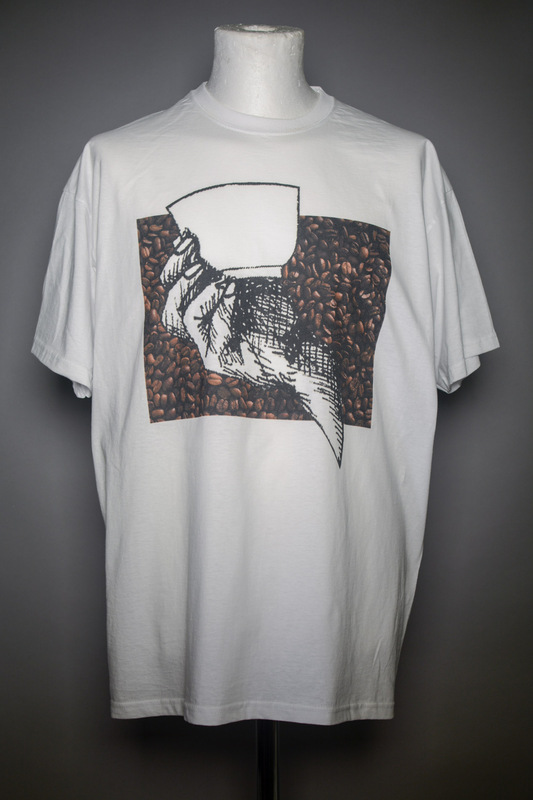 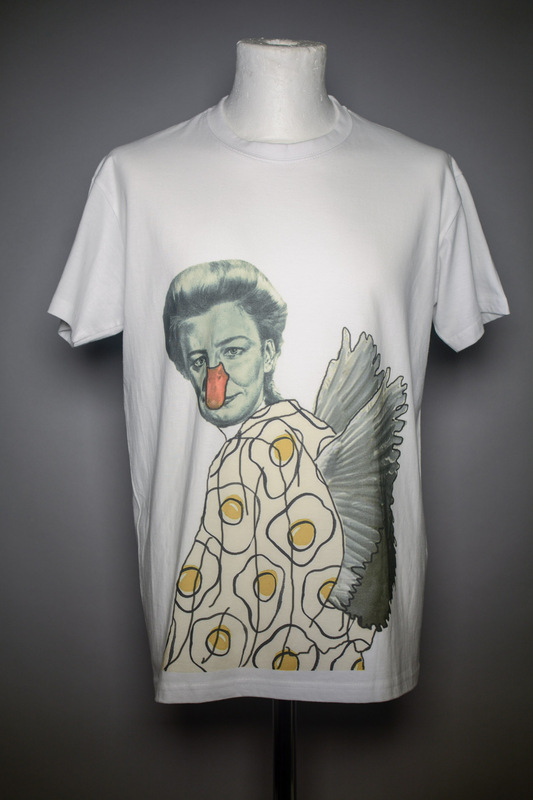 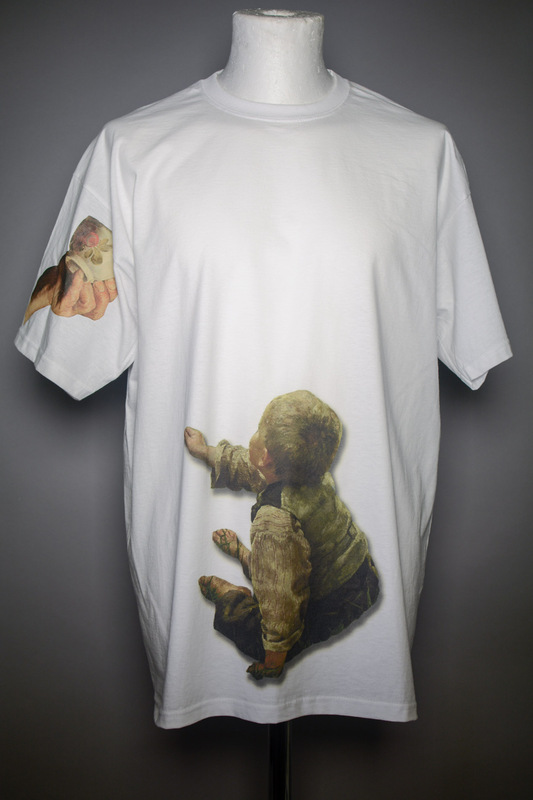 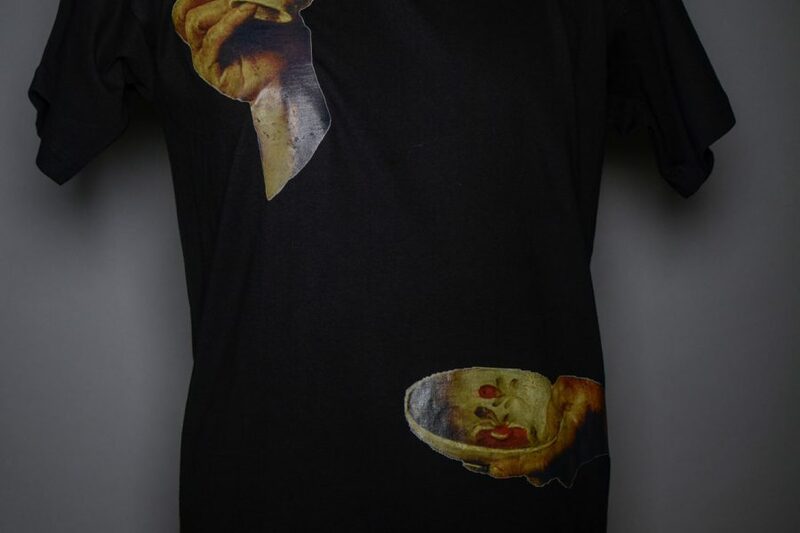 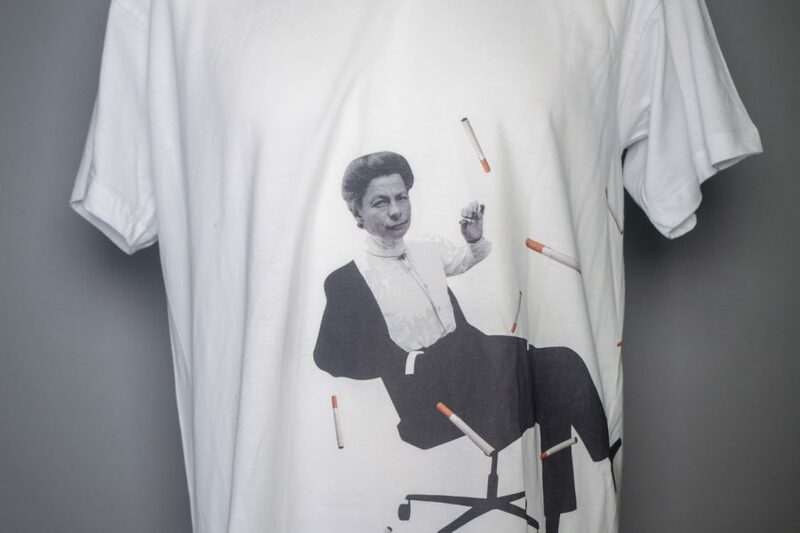 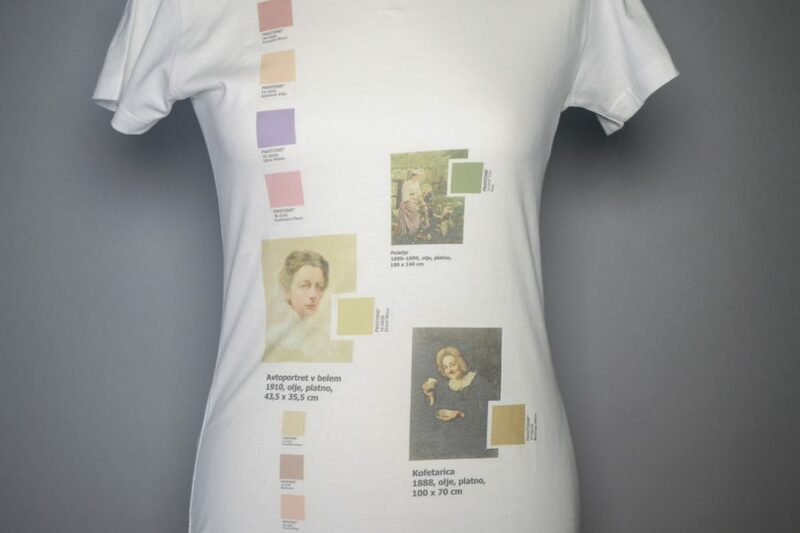 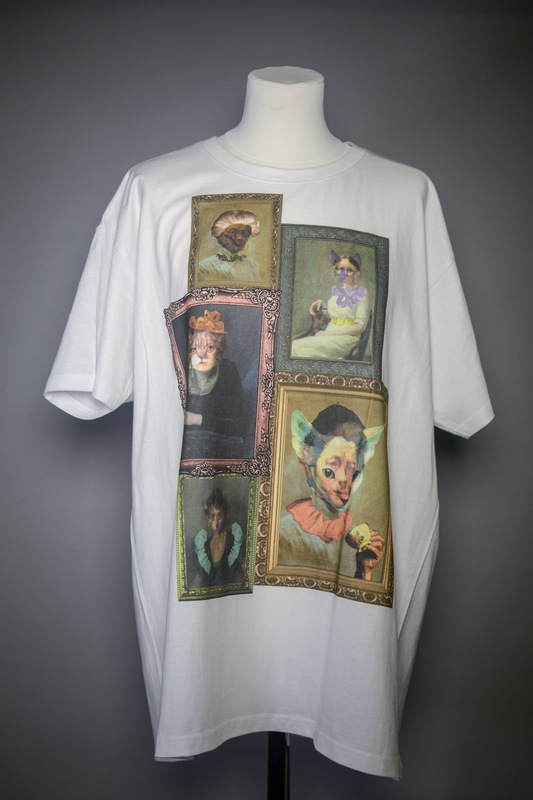 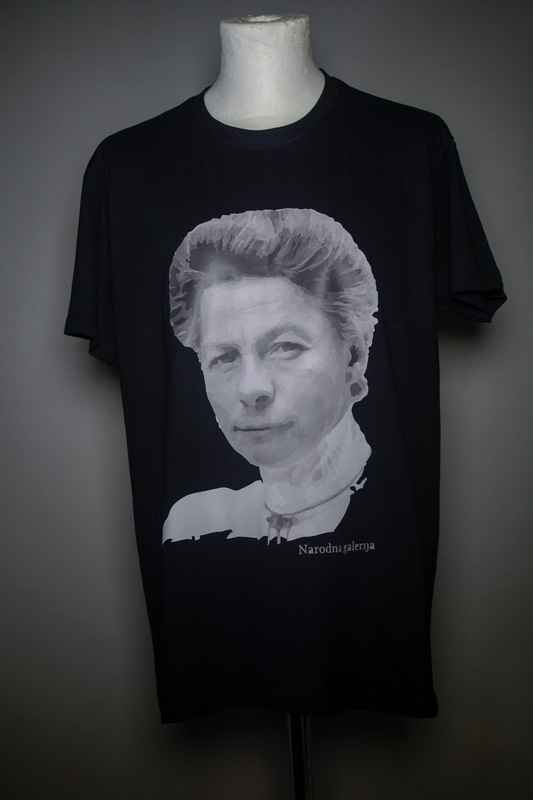 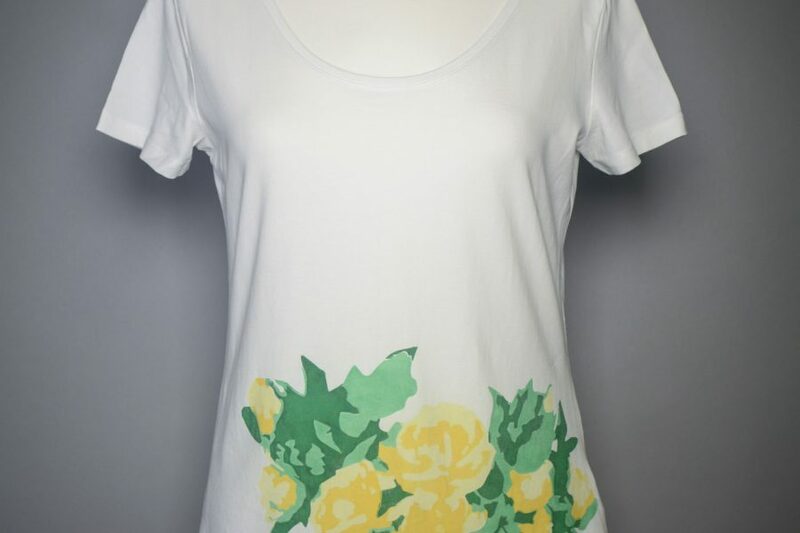 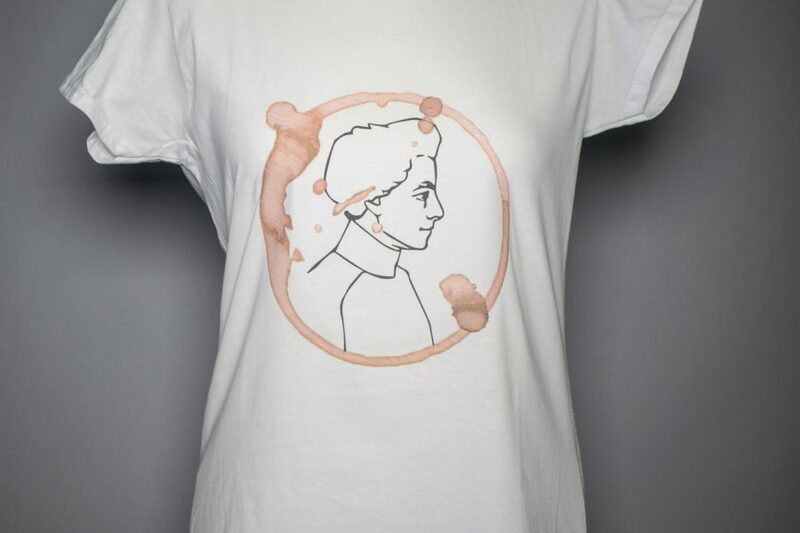 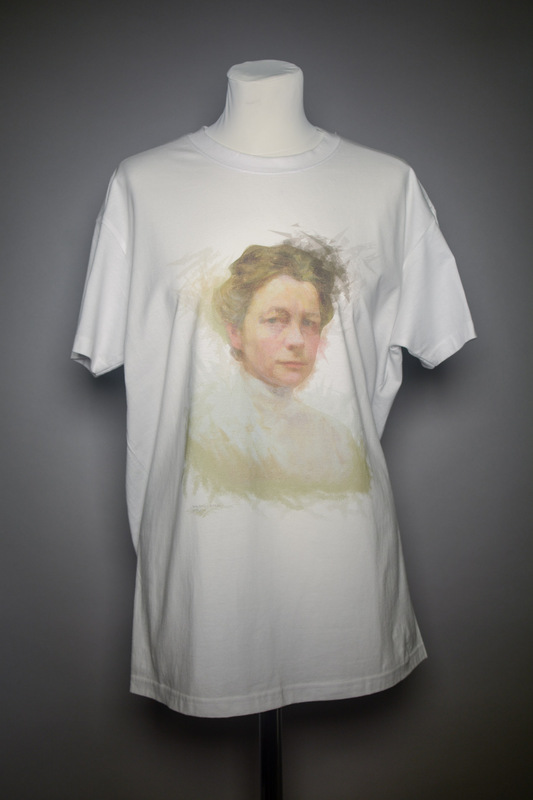 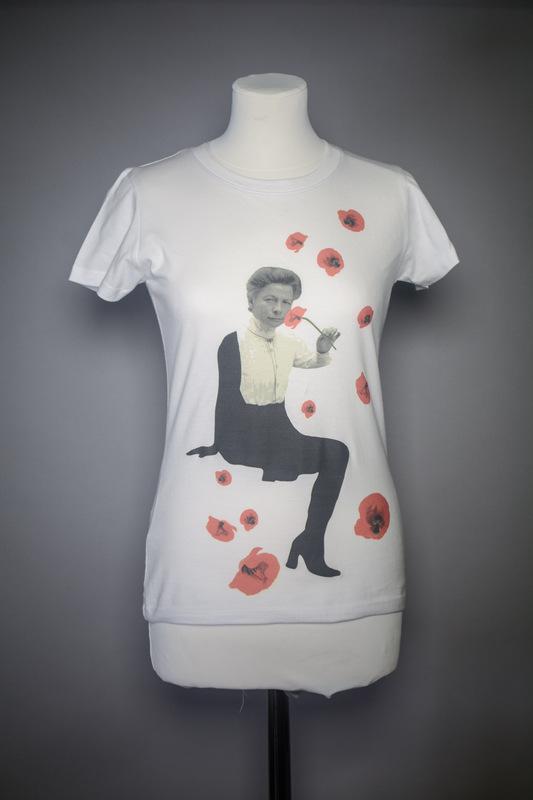 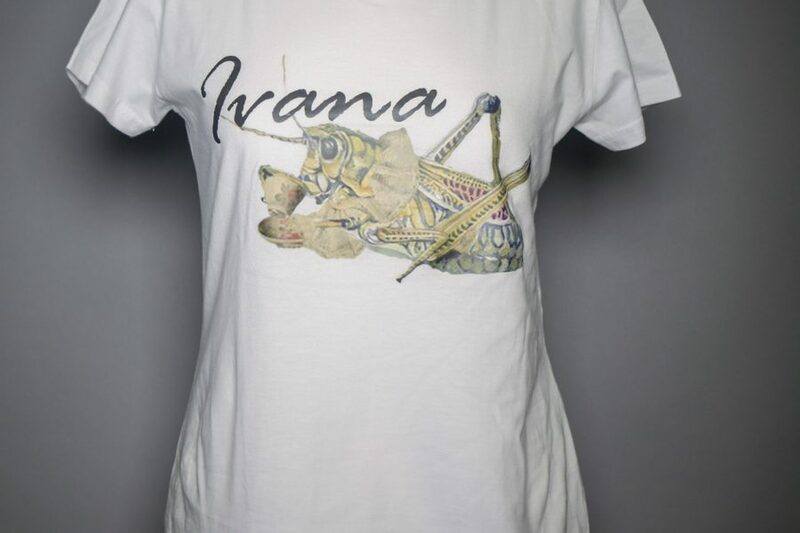 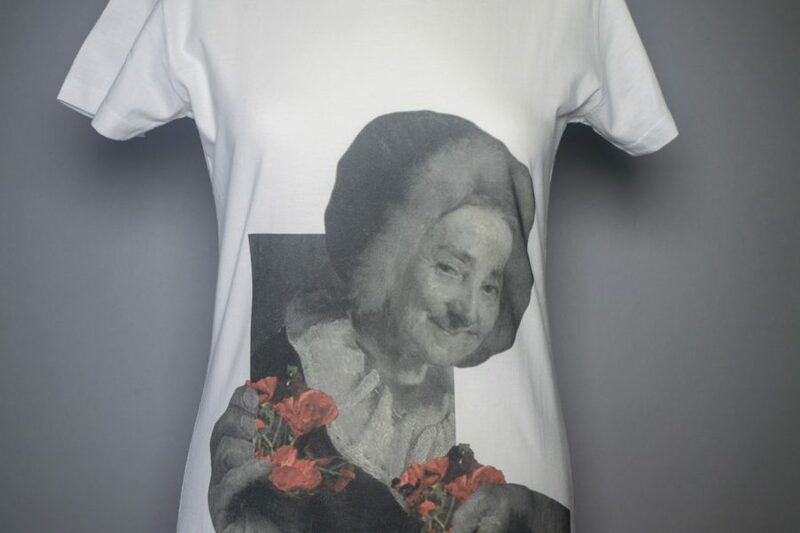 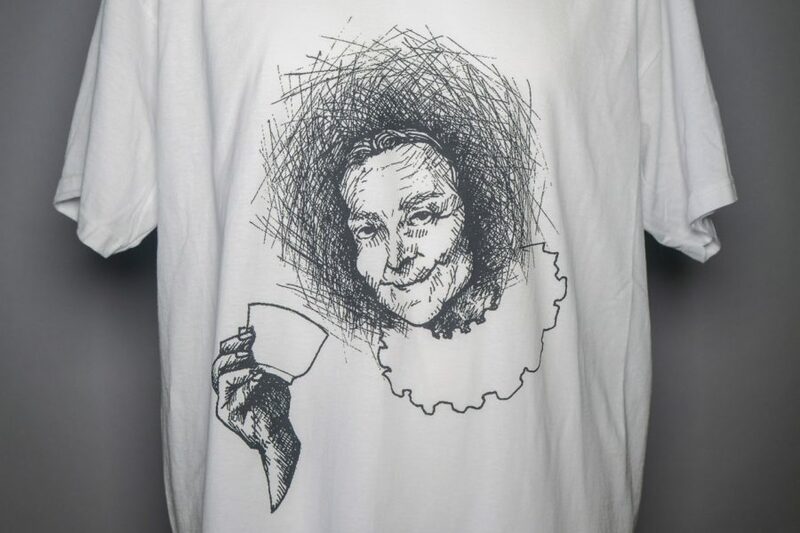 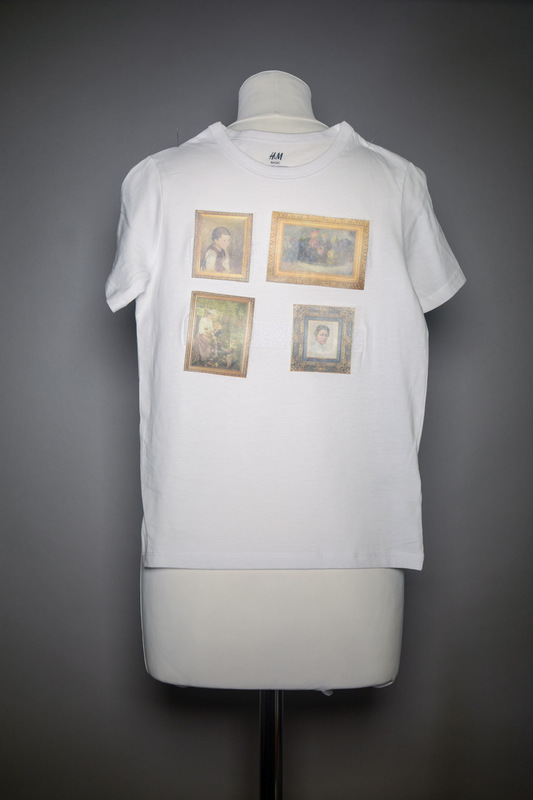 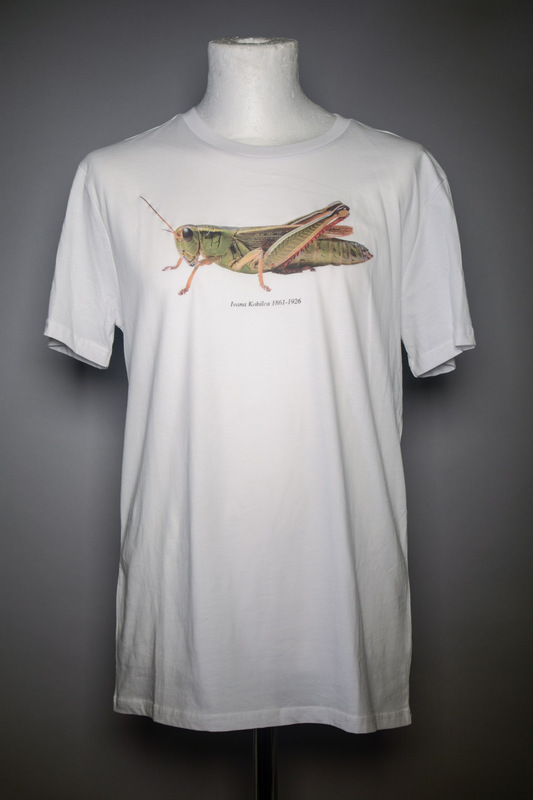 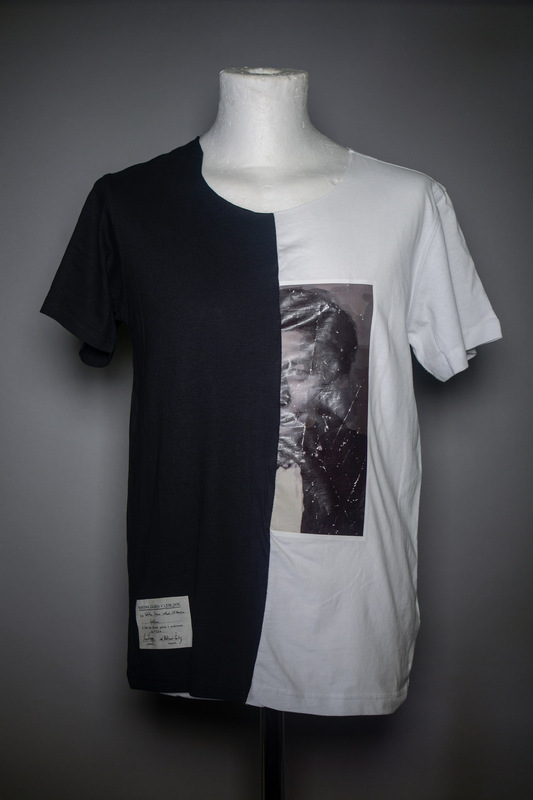 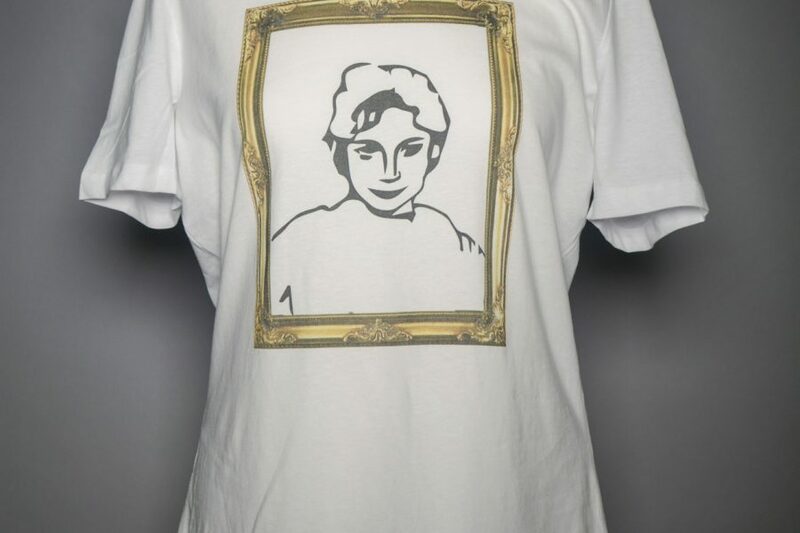 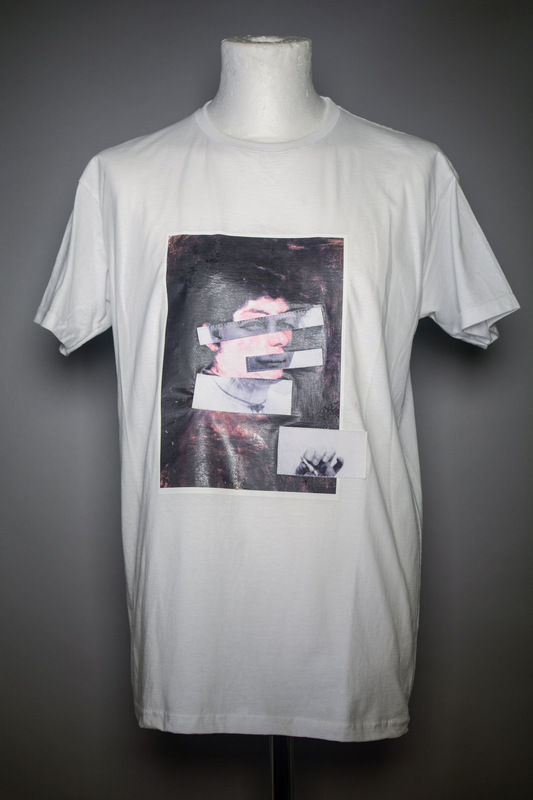 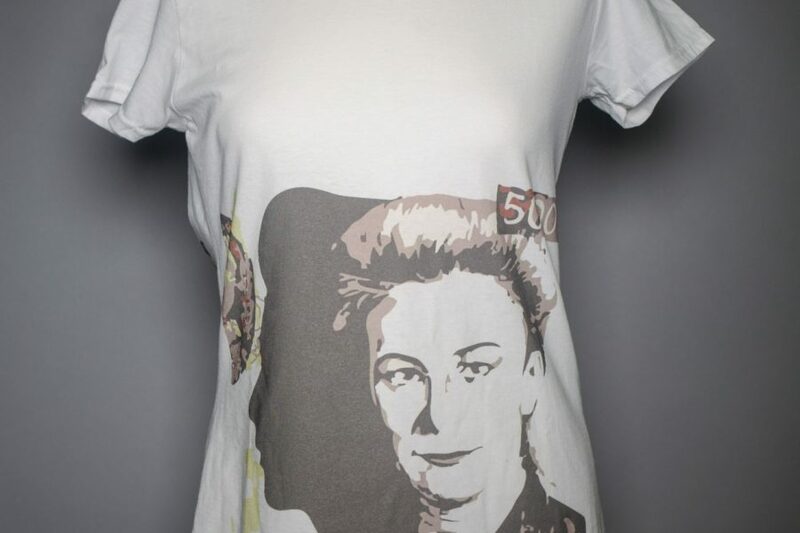 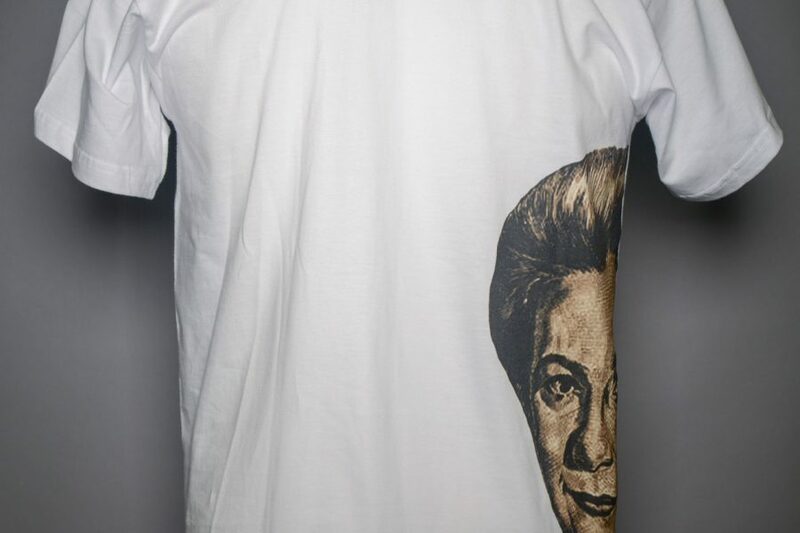 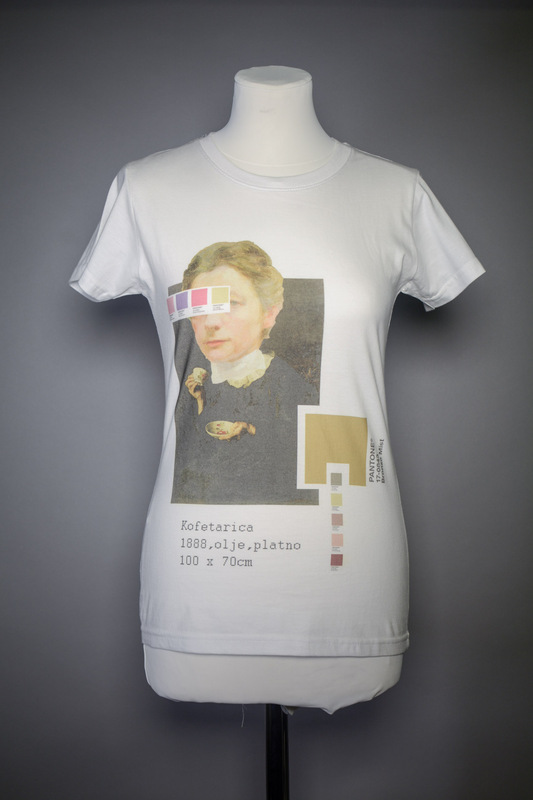 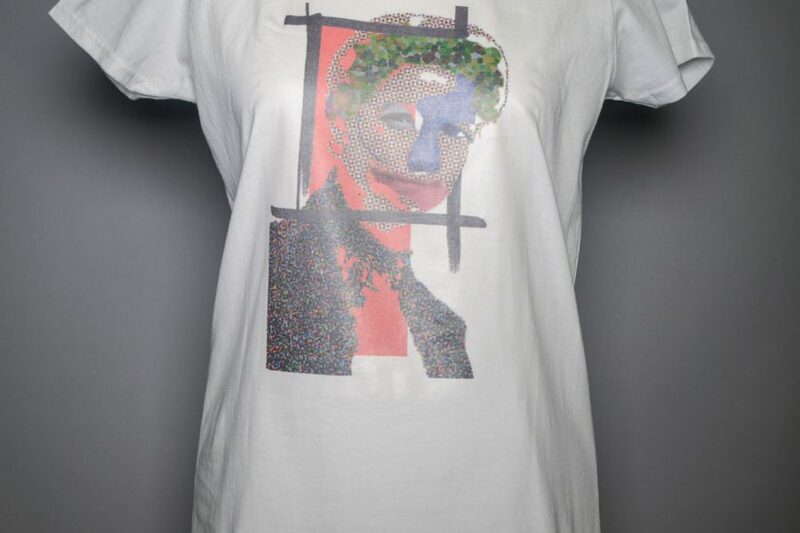 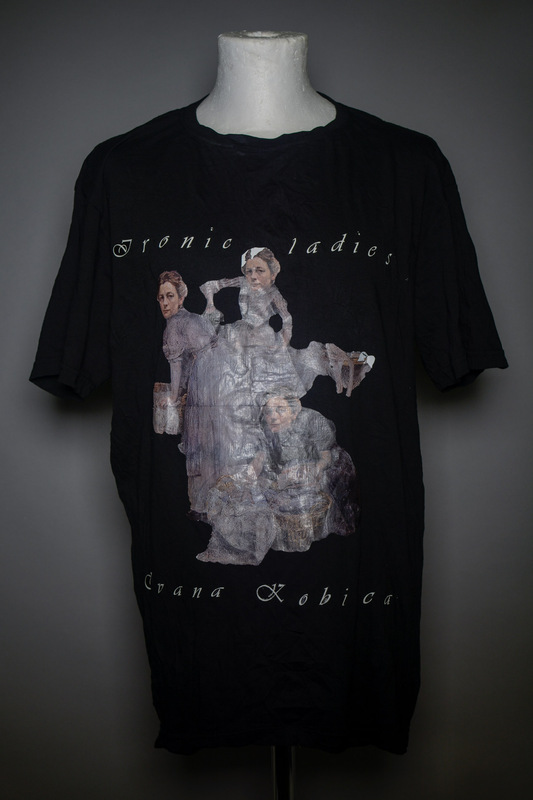 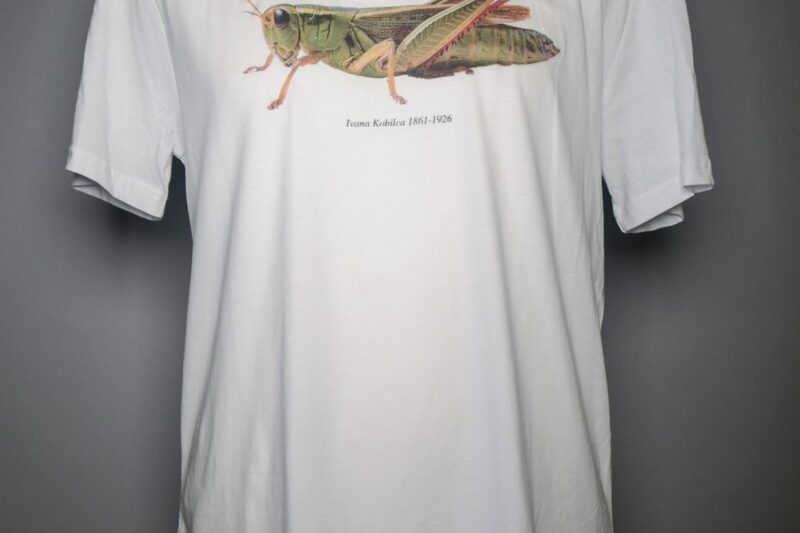 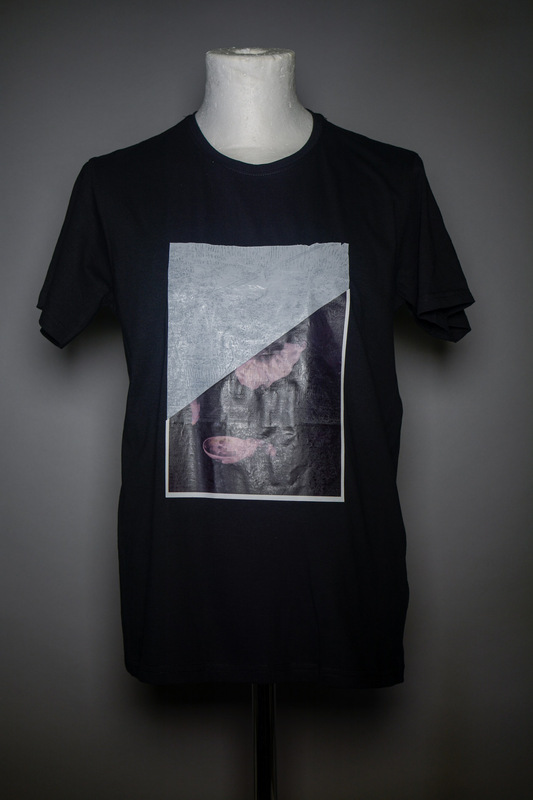 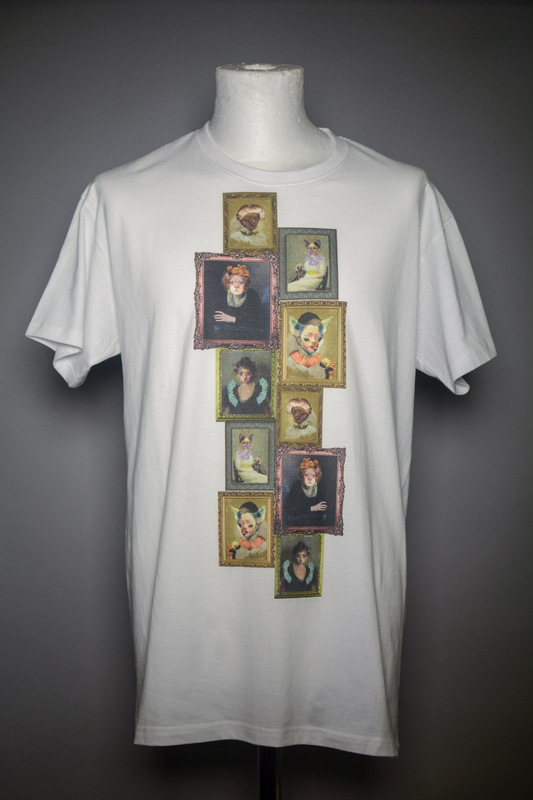 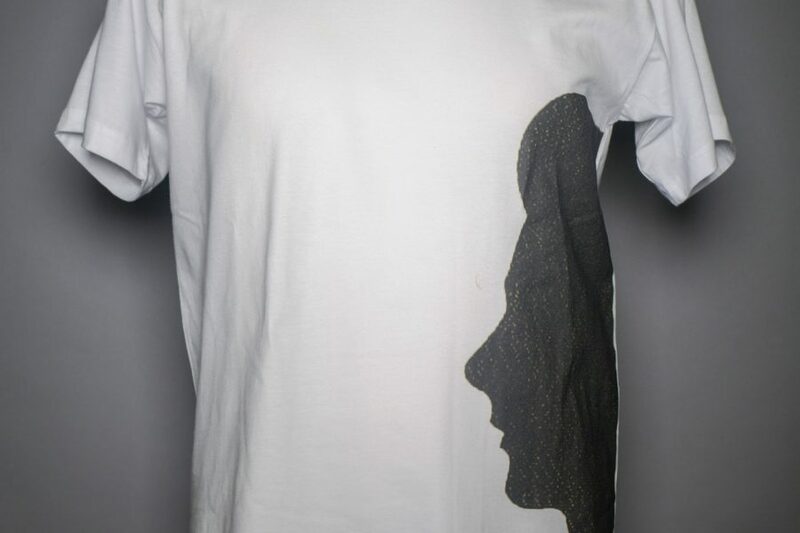 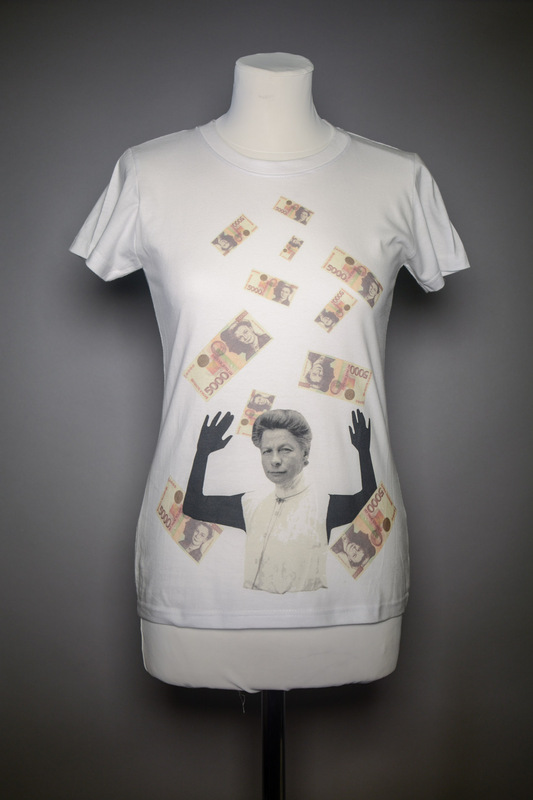 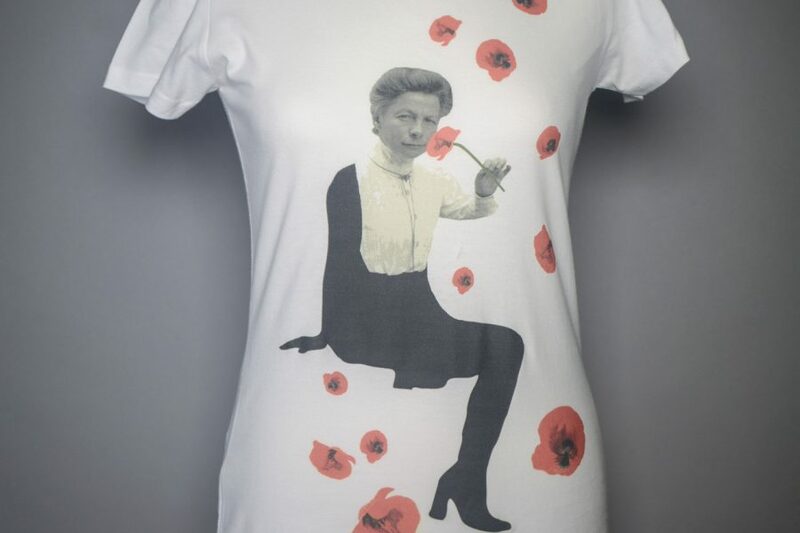 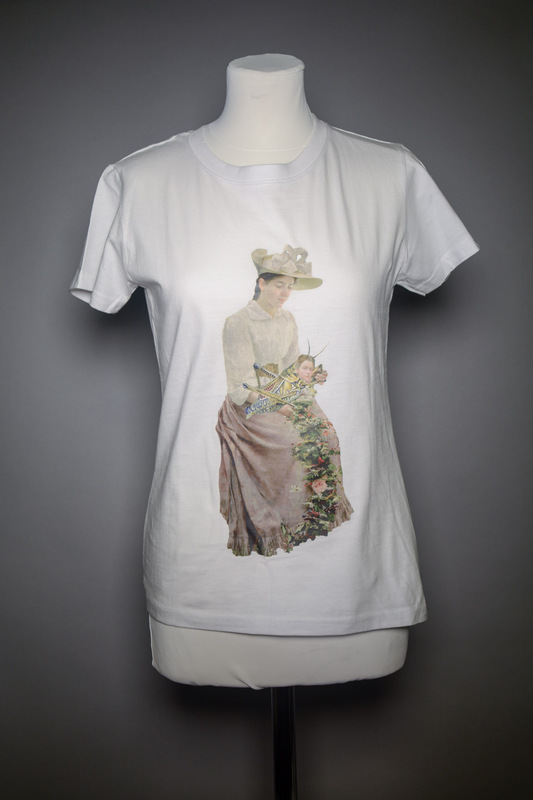 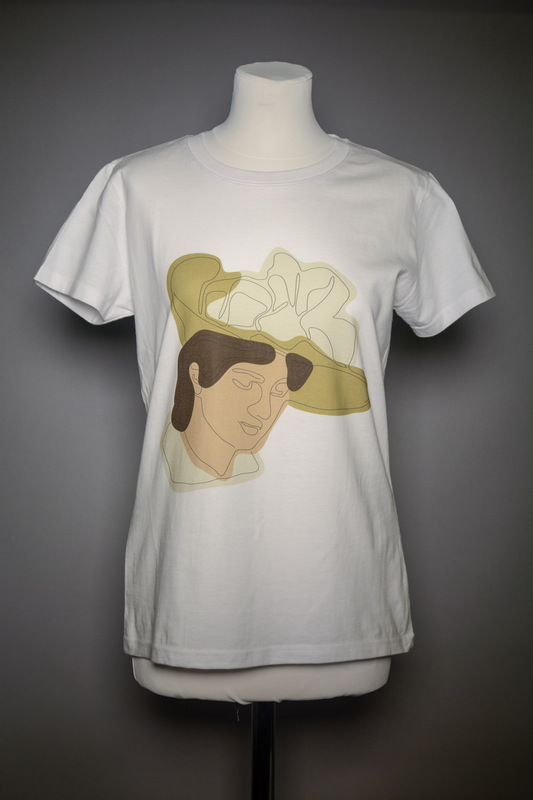 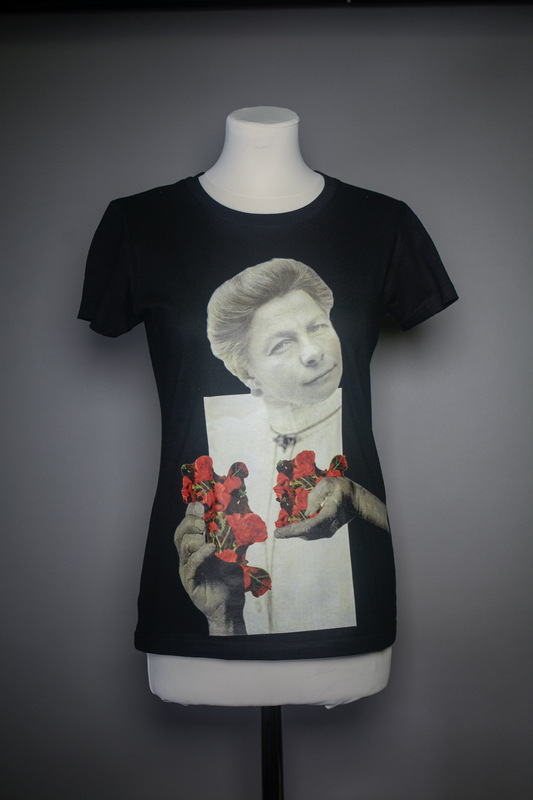 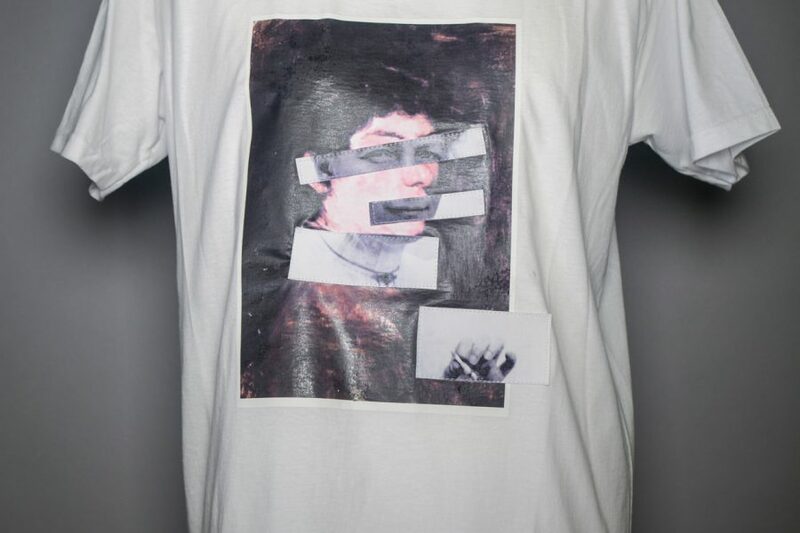 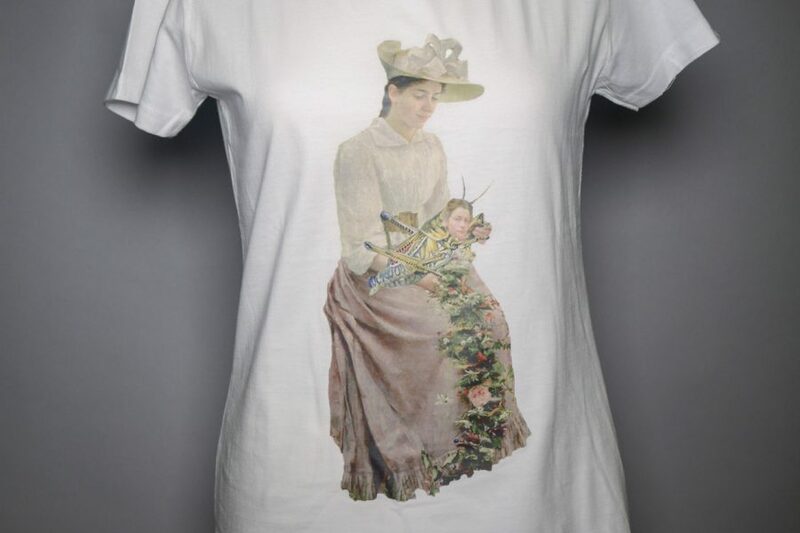 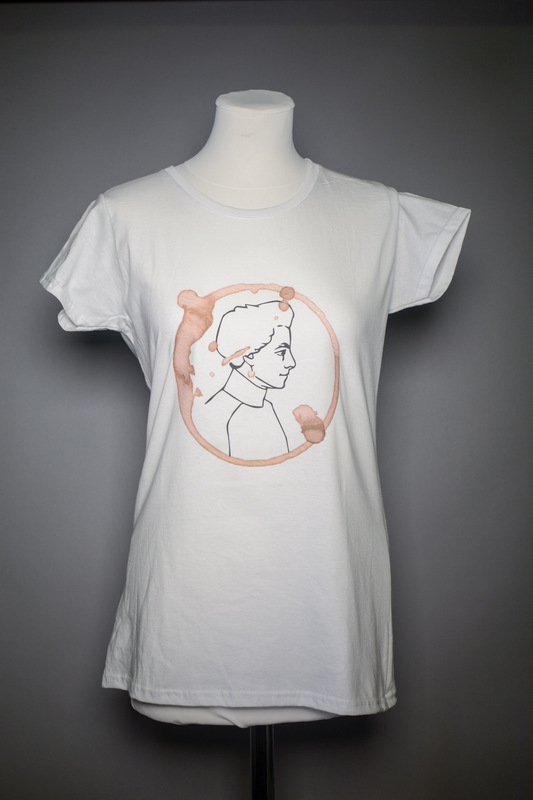 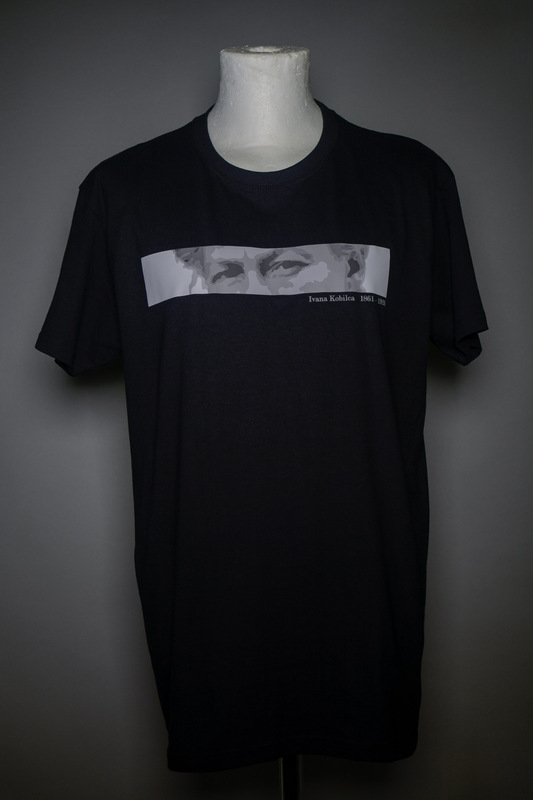 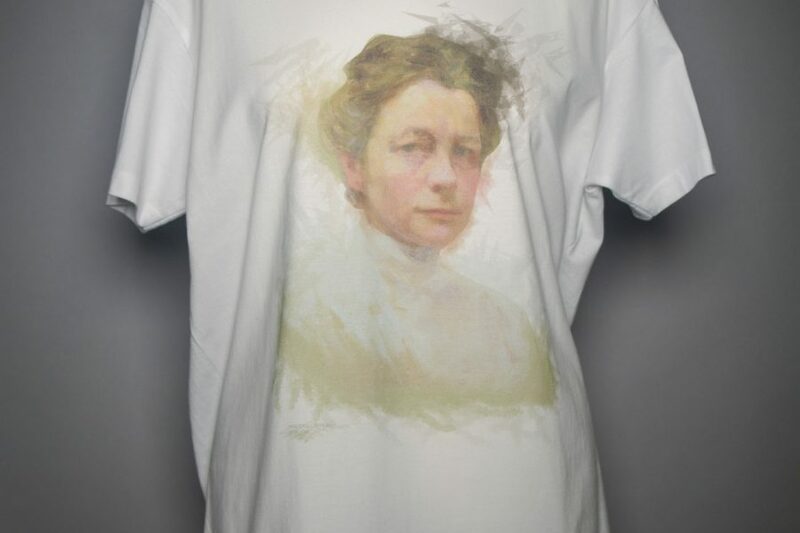 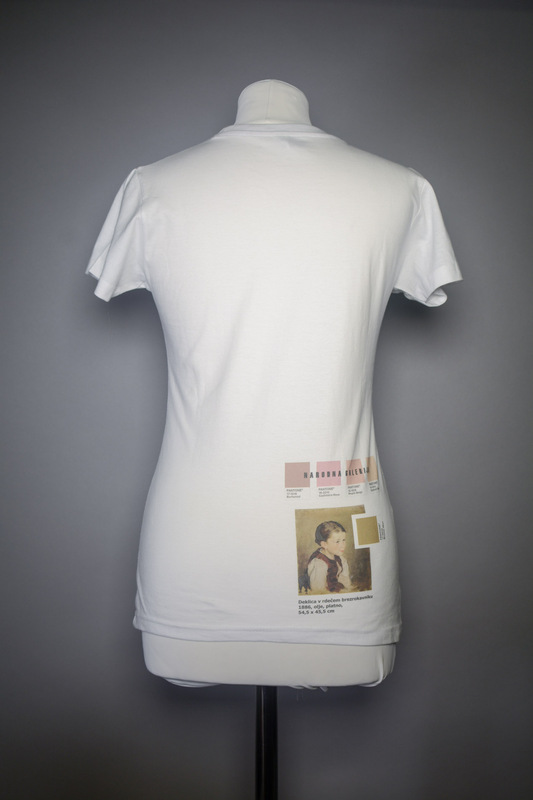 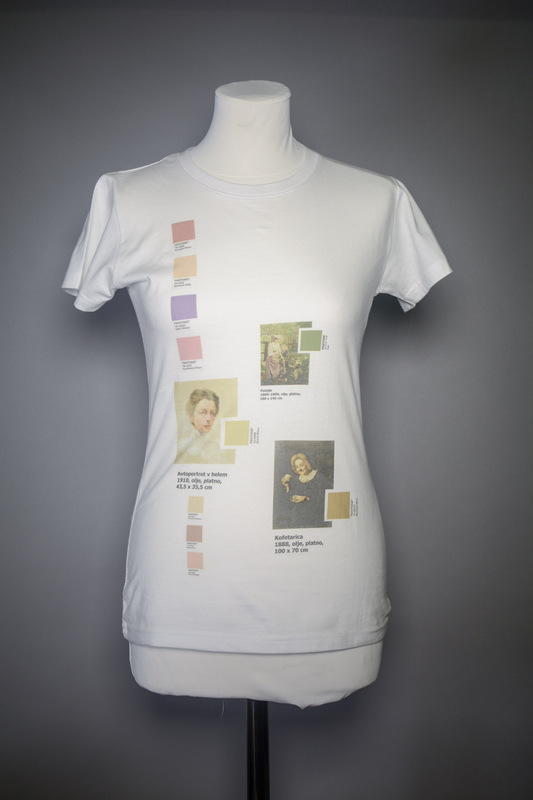 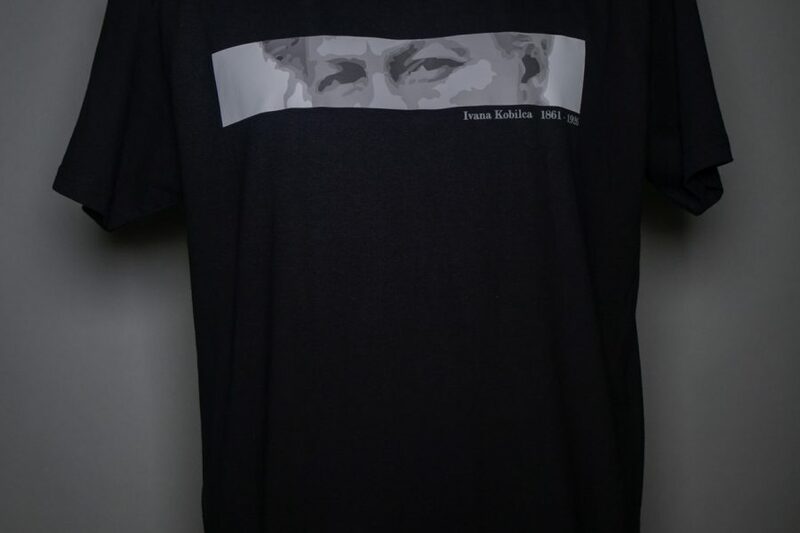 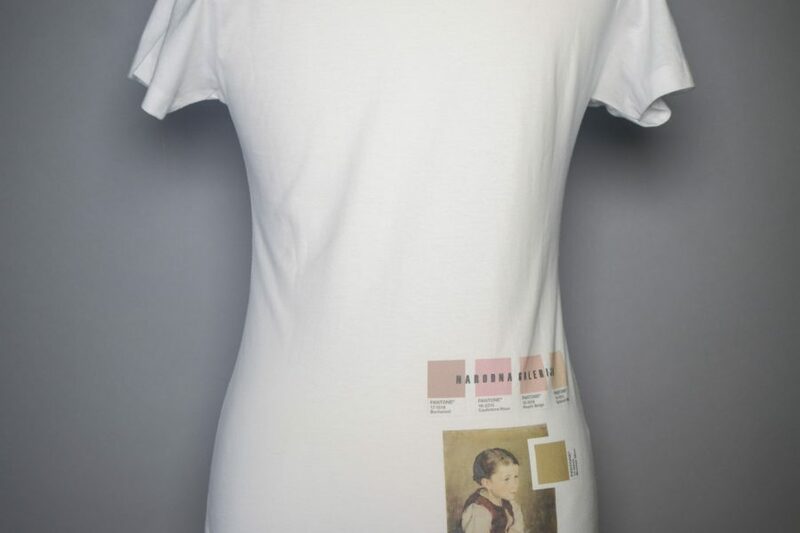 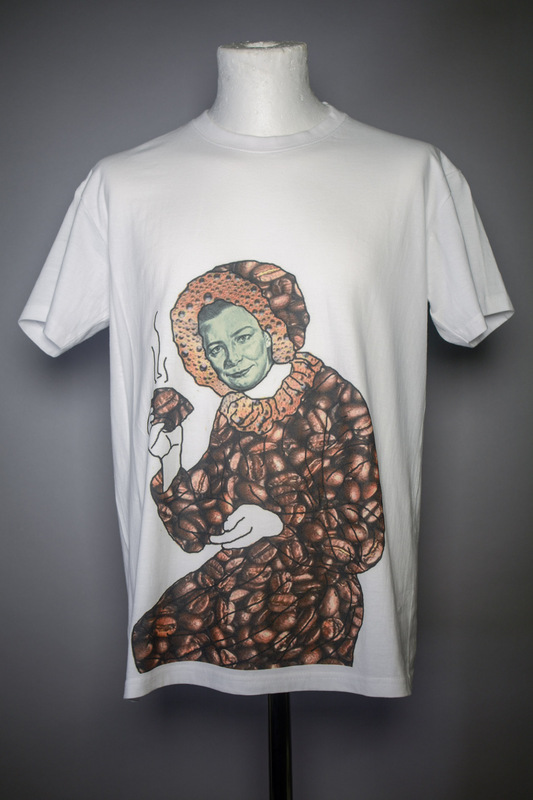 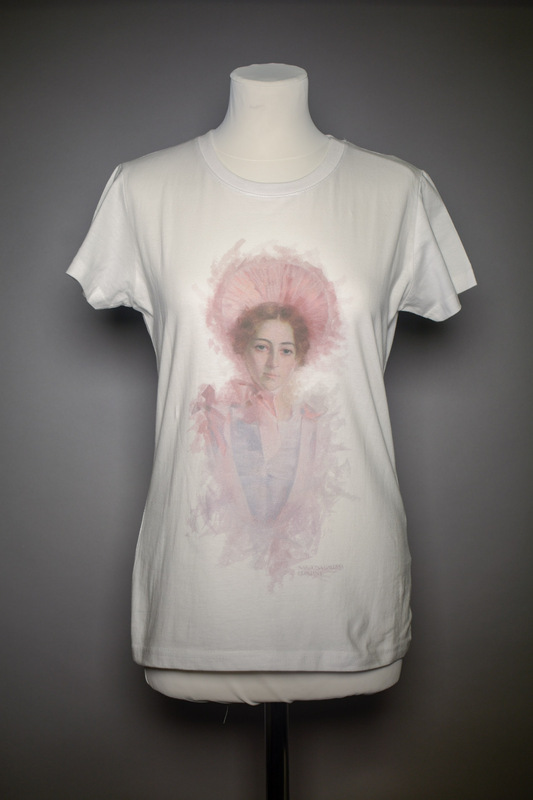 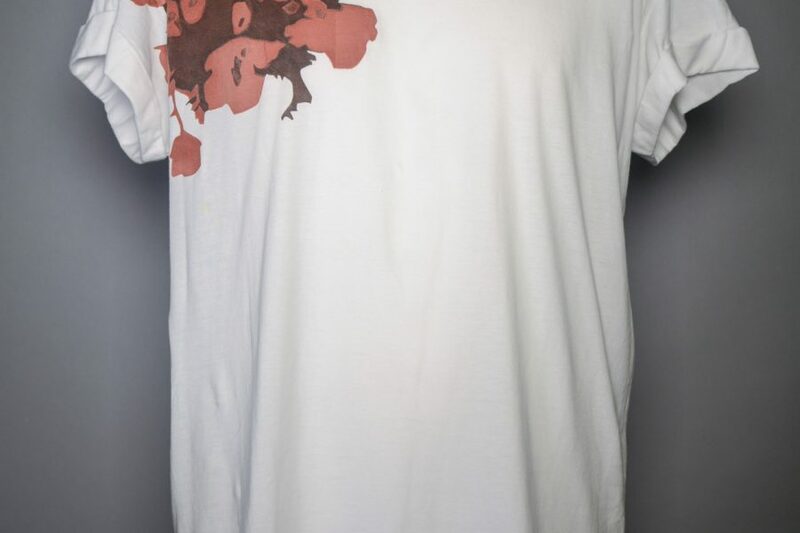 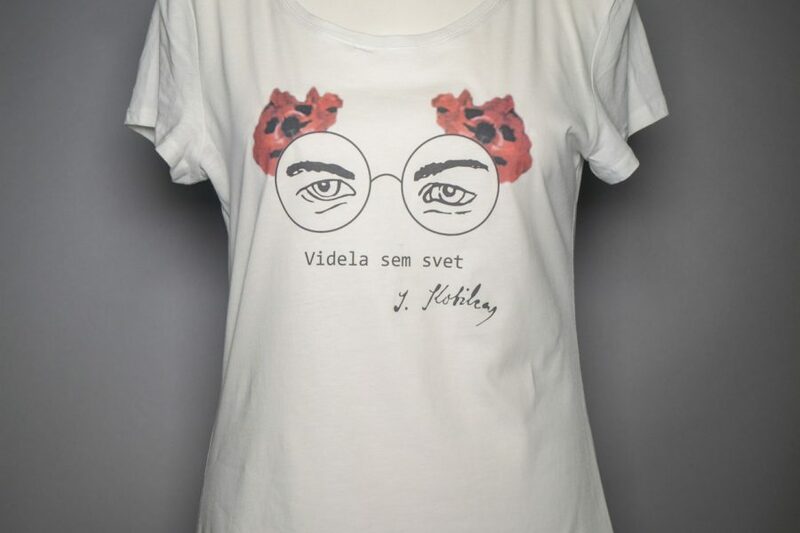 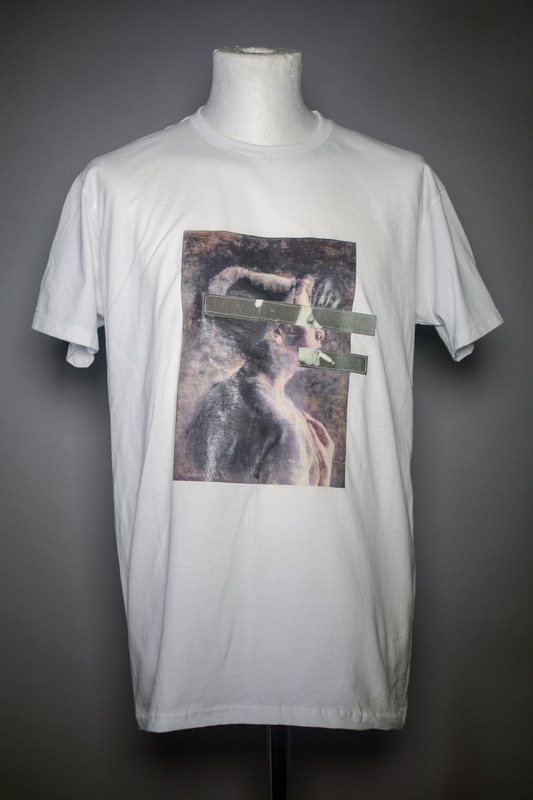 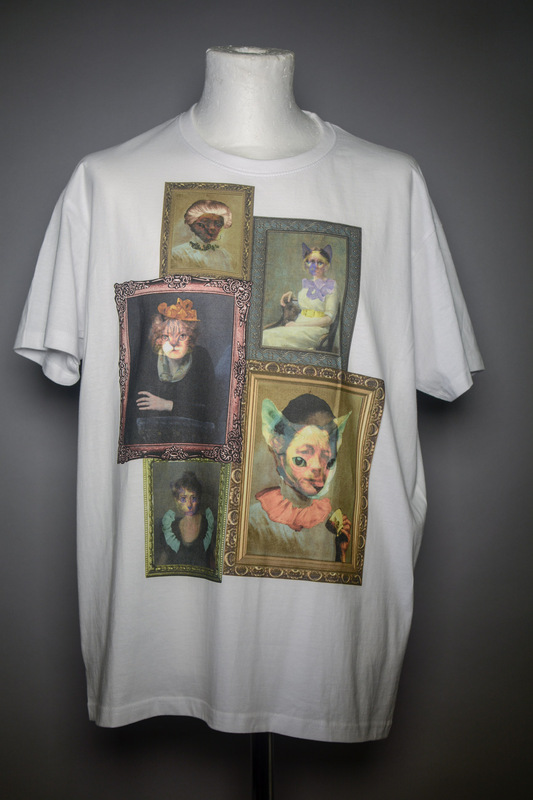 The emerging T-shirts are searching for narrative story and humor and are inspired by both her great and famous painting works, as well as in tiny pinches and details from the painter’s great personal life.